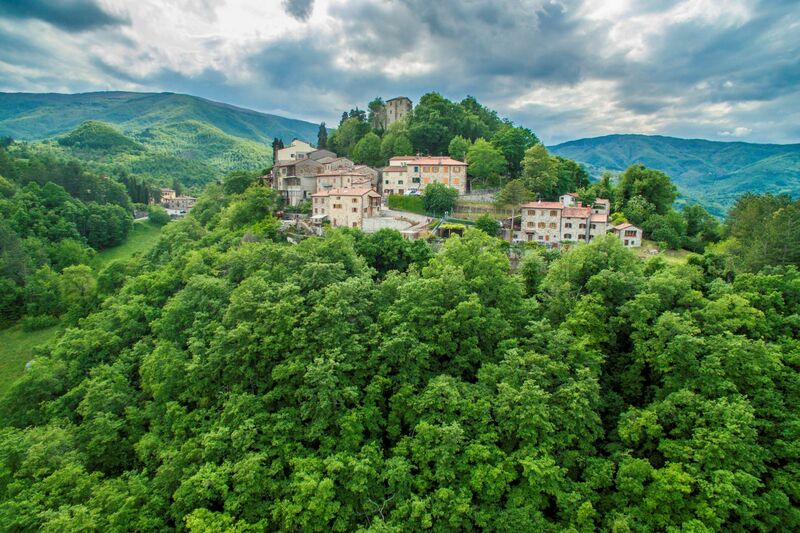 Caprese Michelangelo is a medieval village located in the Tuscan Tiber Valley, and mostly known for being the hometown of Michelangelo Buonarroti. 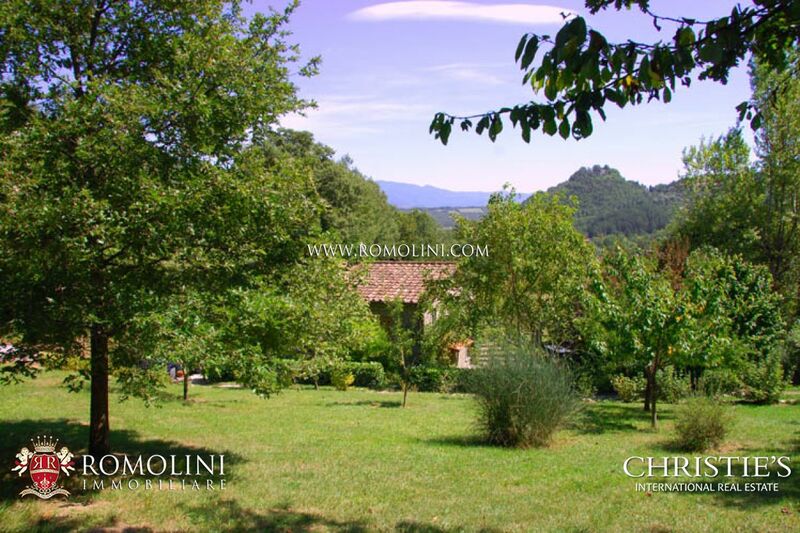 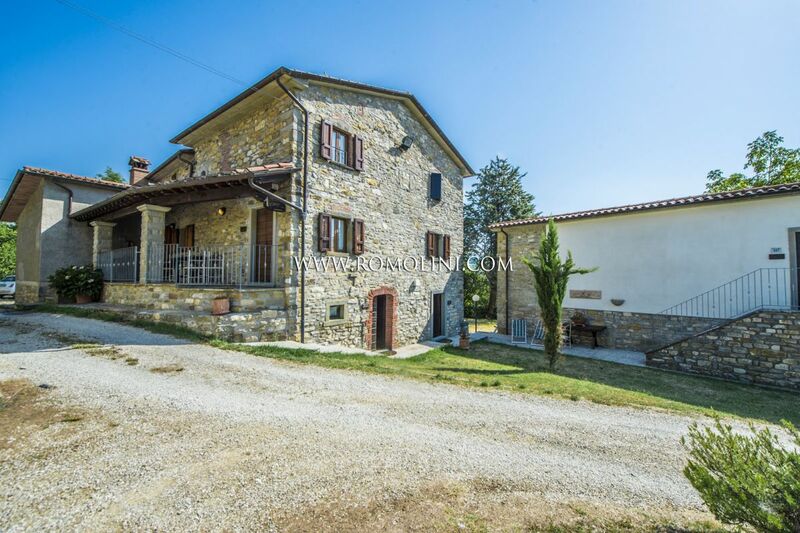 Are you looking for a farmhouse, an Agriturismo or a Countryside villa for sale in this unique town of Tuscany? 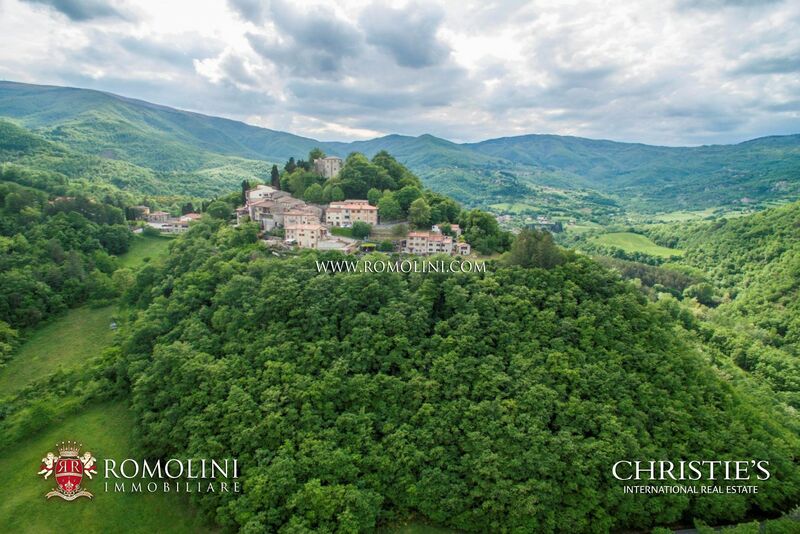 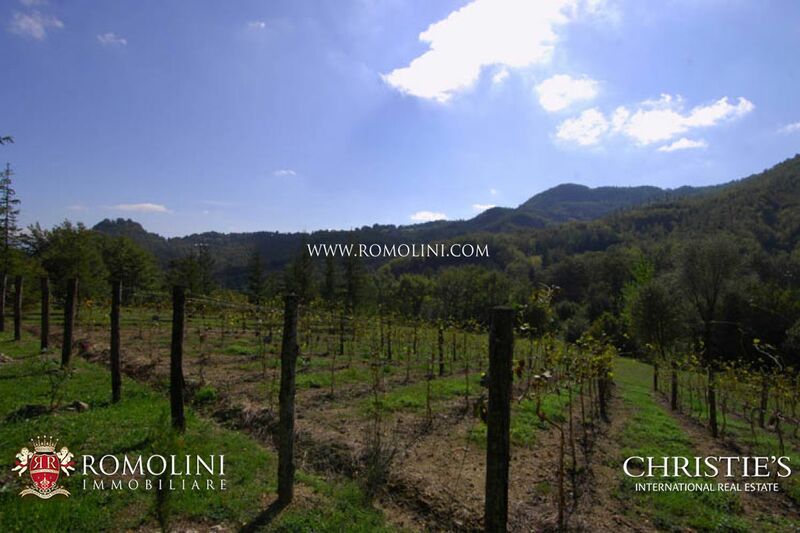 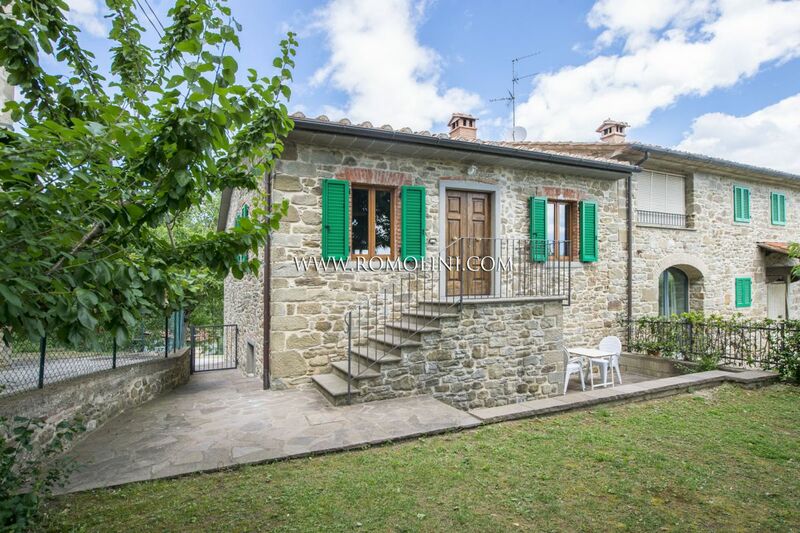 Our agency offers a selection of farmhouses for sale in Caprese Michelangelo, luxury villas, apartments and houses to buy in the historic centre. 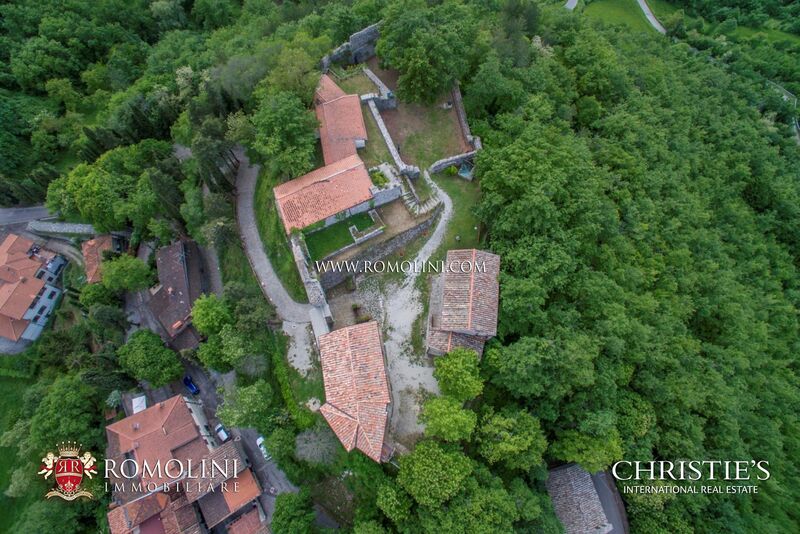 We will be glad to help you find the property which suits your needs. 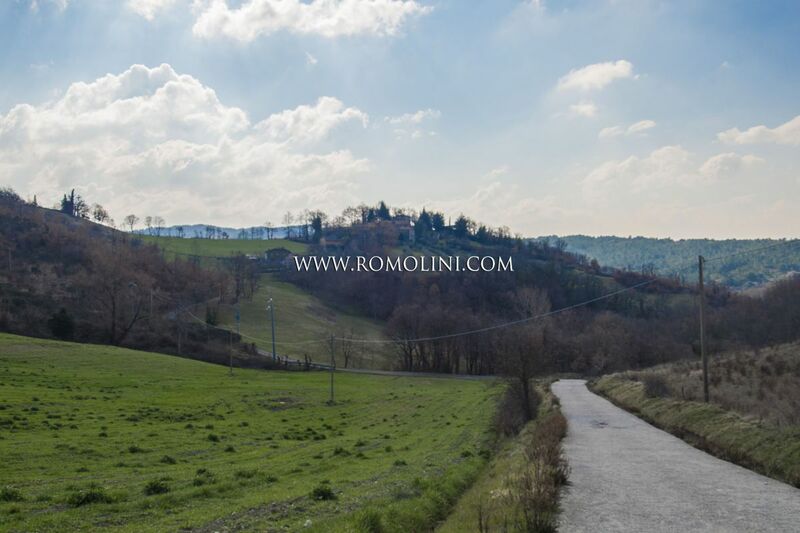 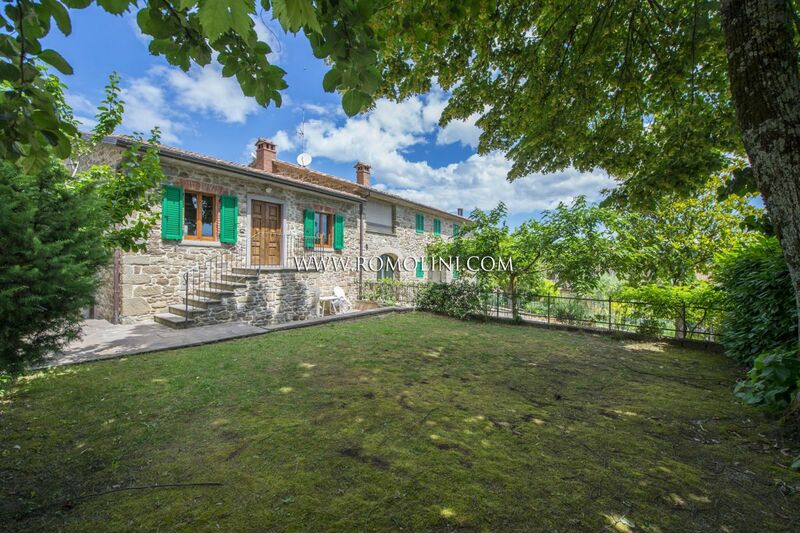 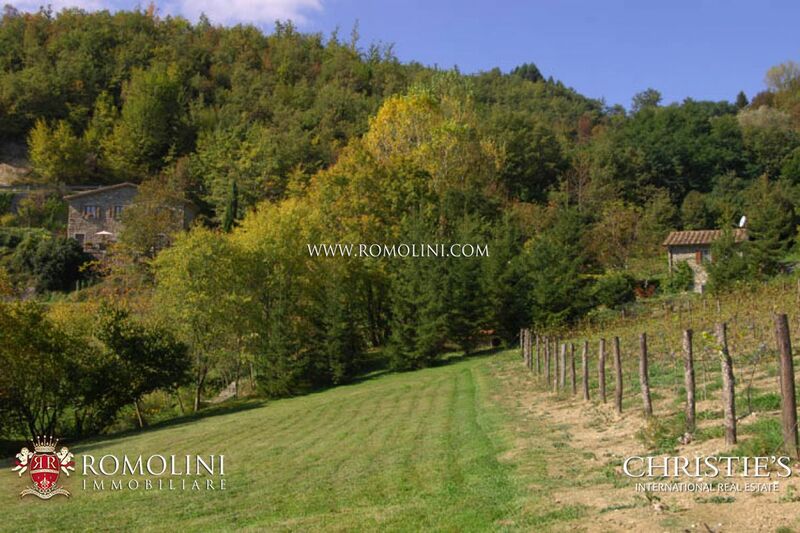 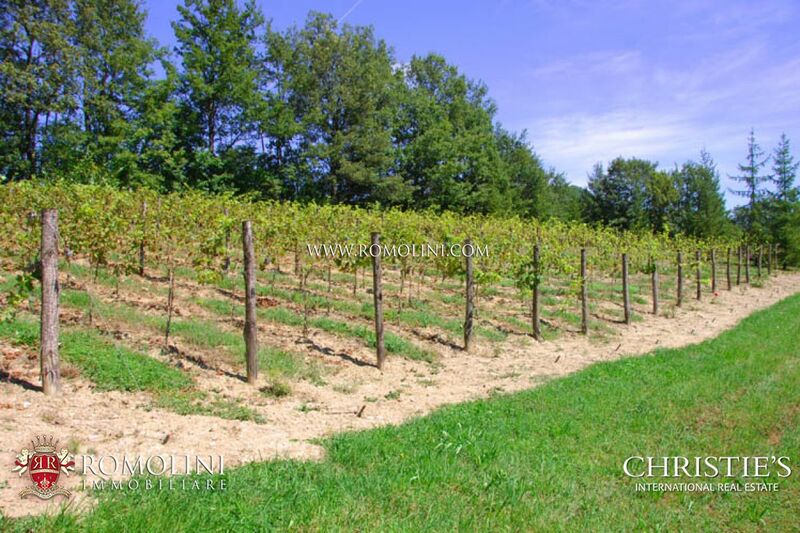 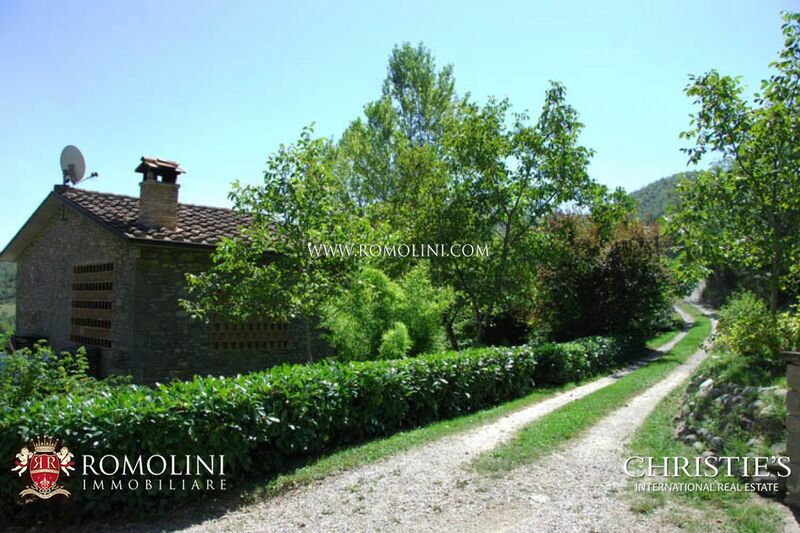 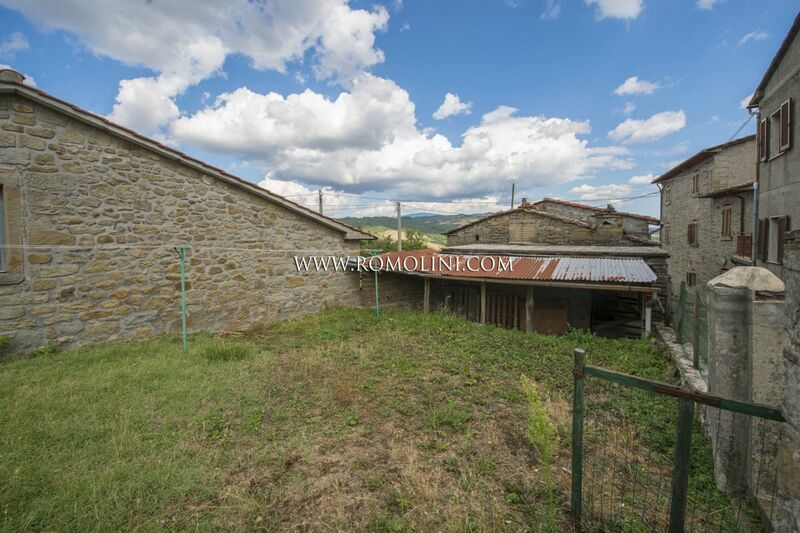 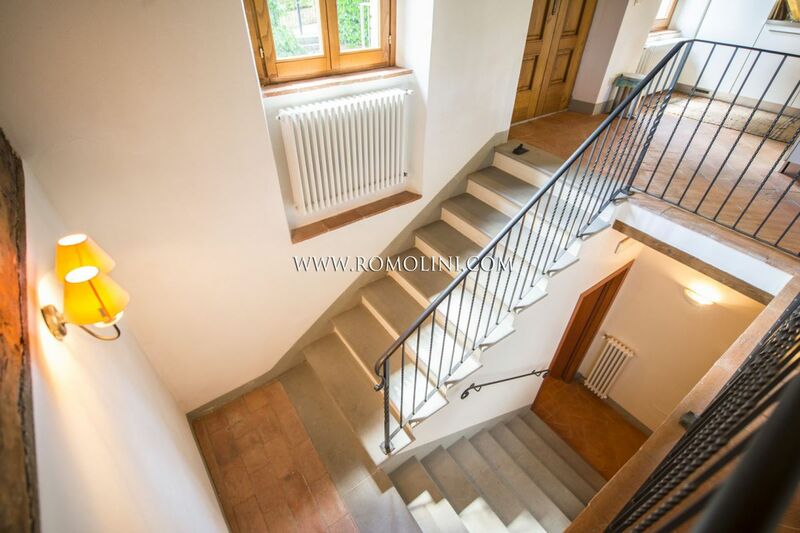 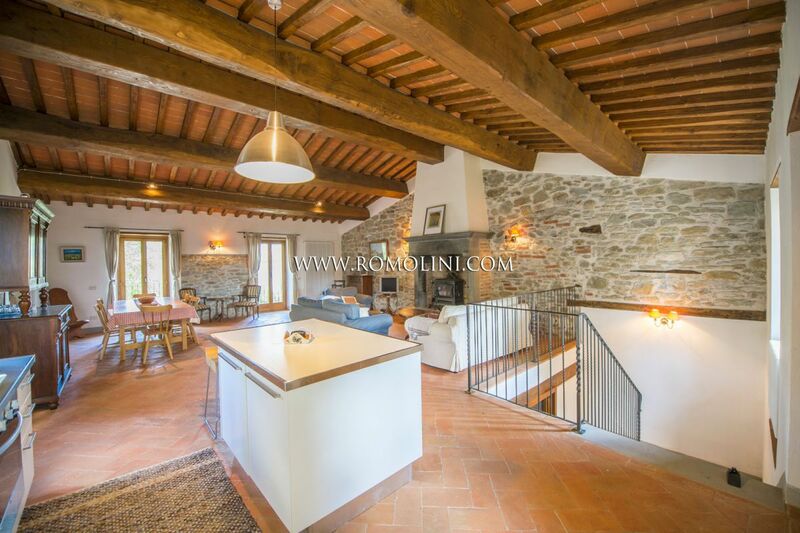 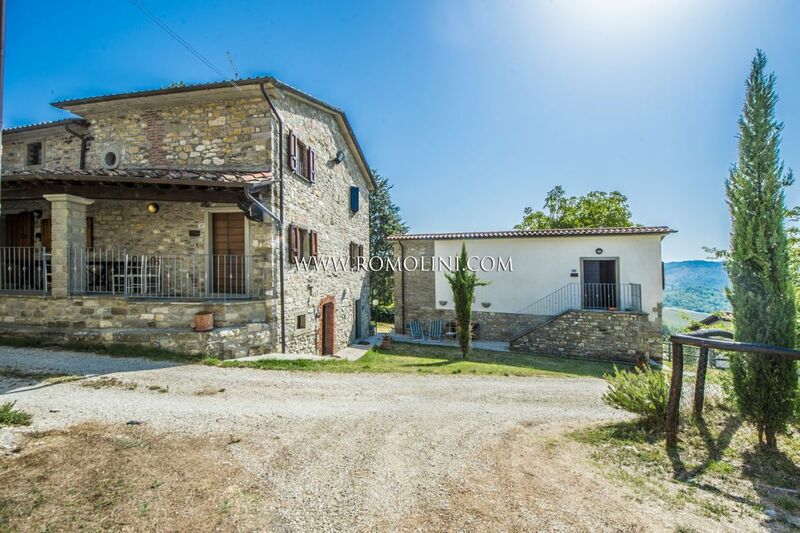 Not far from Caprese Michelangelo, in an easily accessible location, this portion of farmhouse offers 250 square meters of surface area and a villa in builder’s finish. 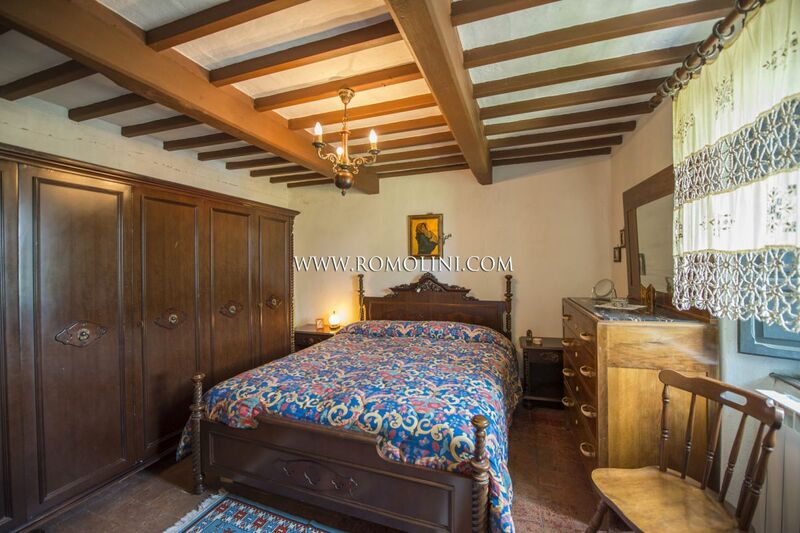 Overall, the two buildings include 6 bedrooms and 4 bathrooms, plus a well-kept garden. 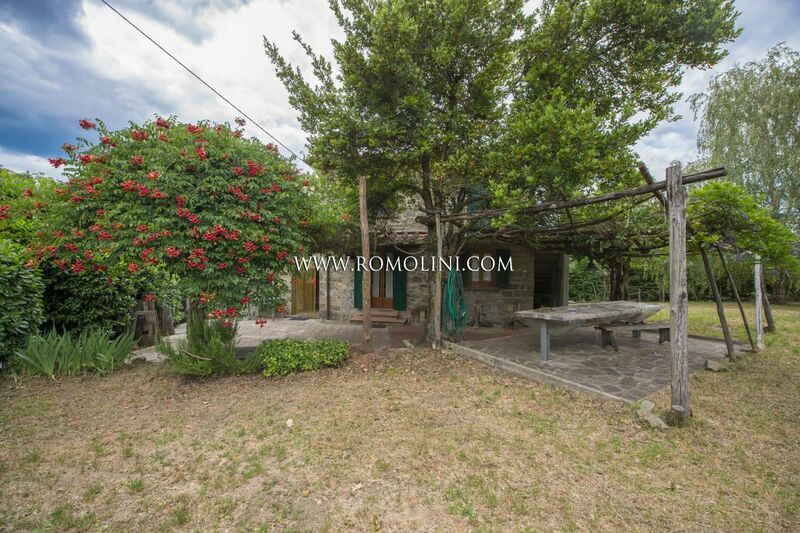 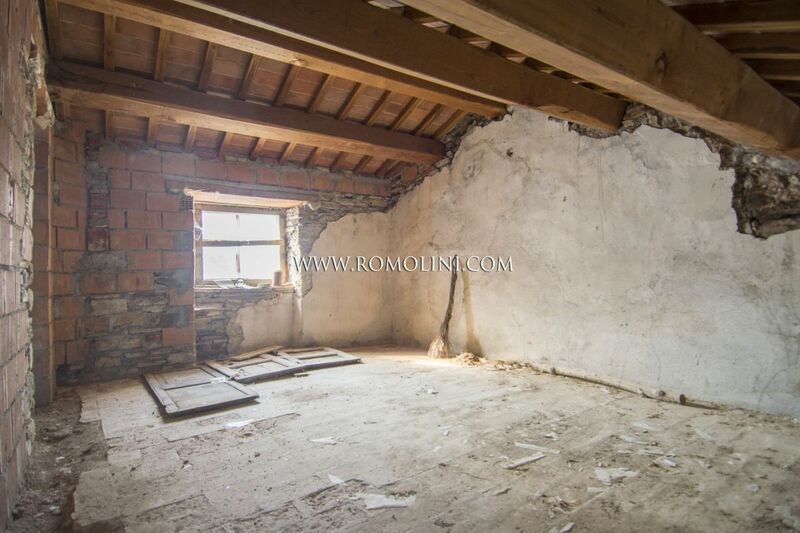 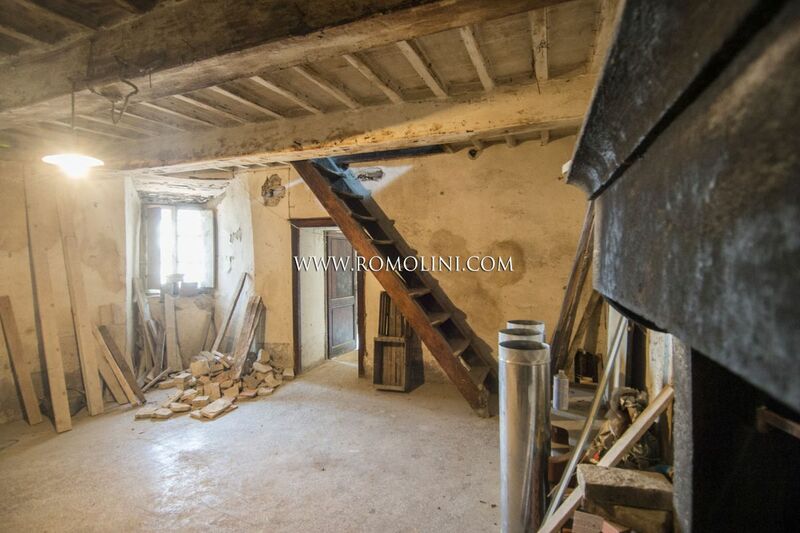 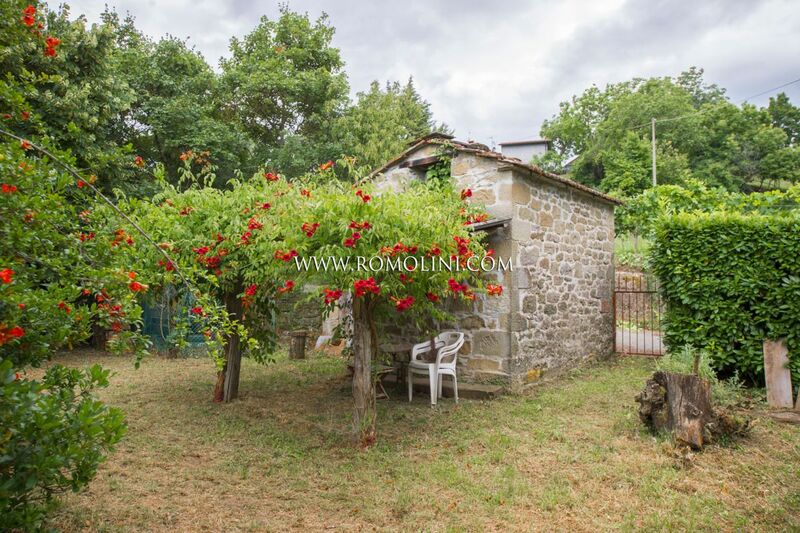 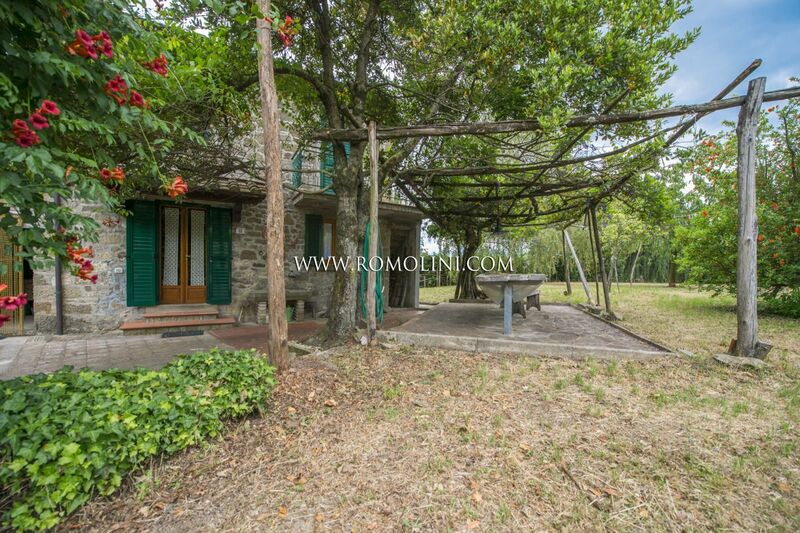 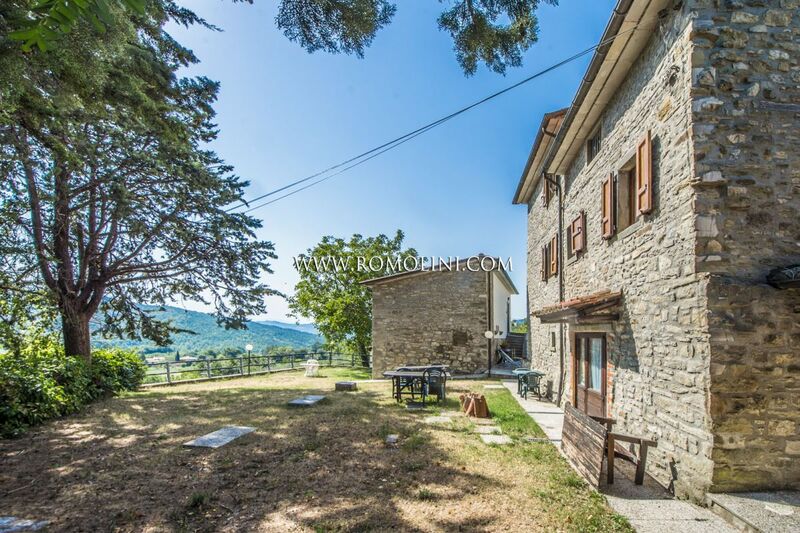 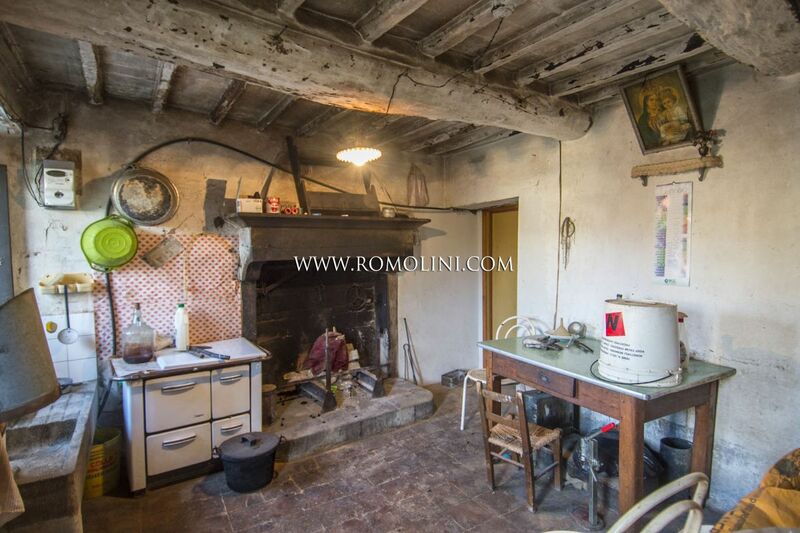 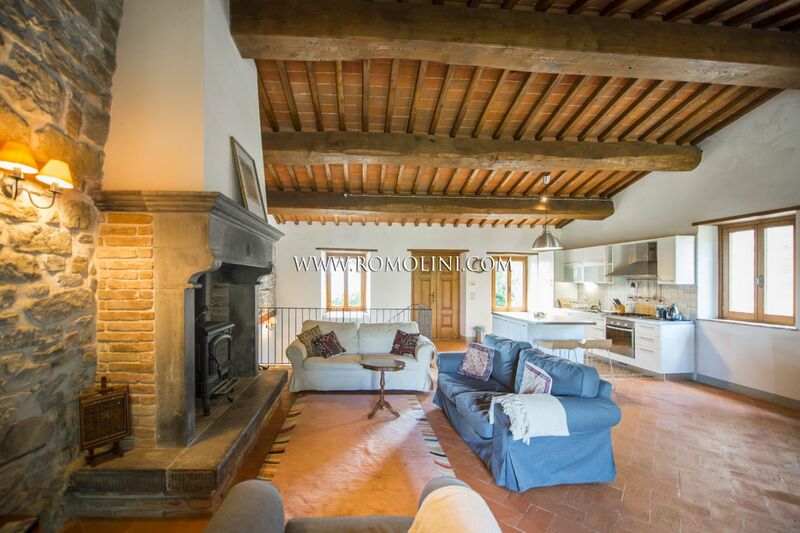 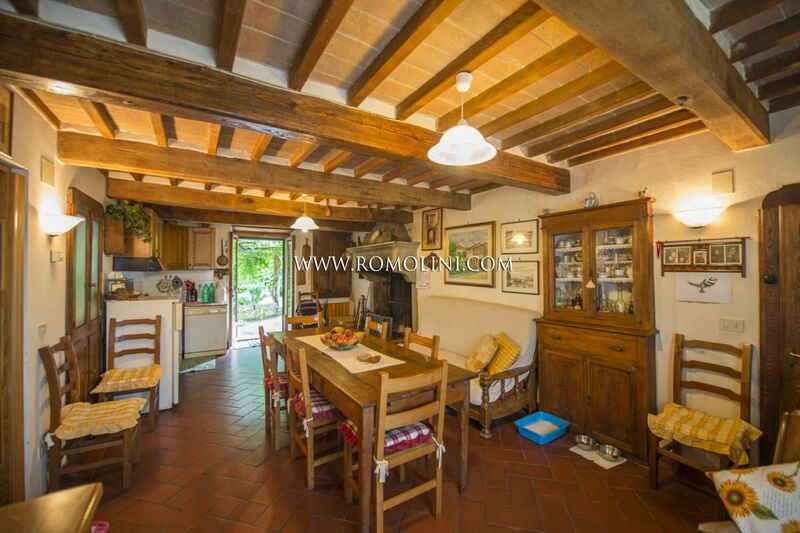 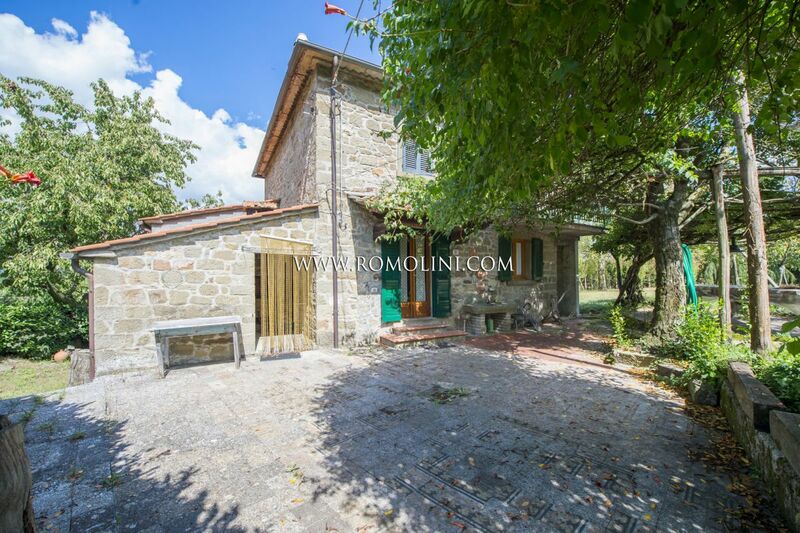 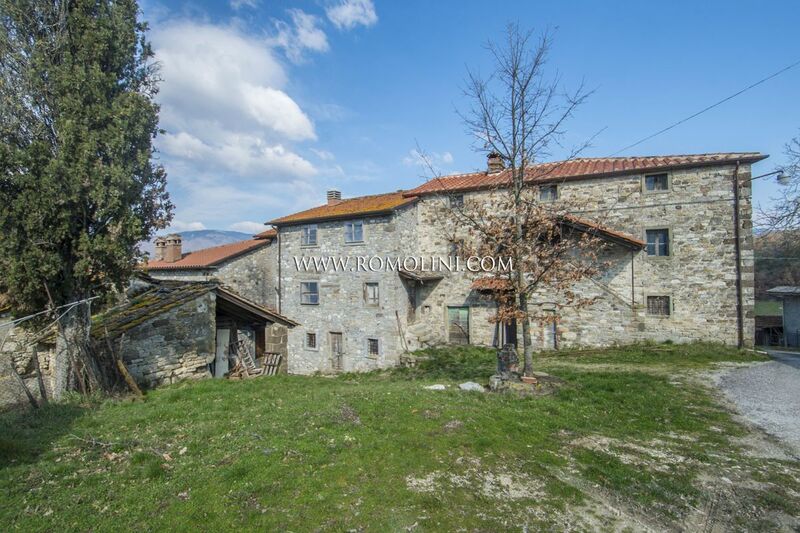 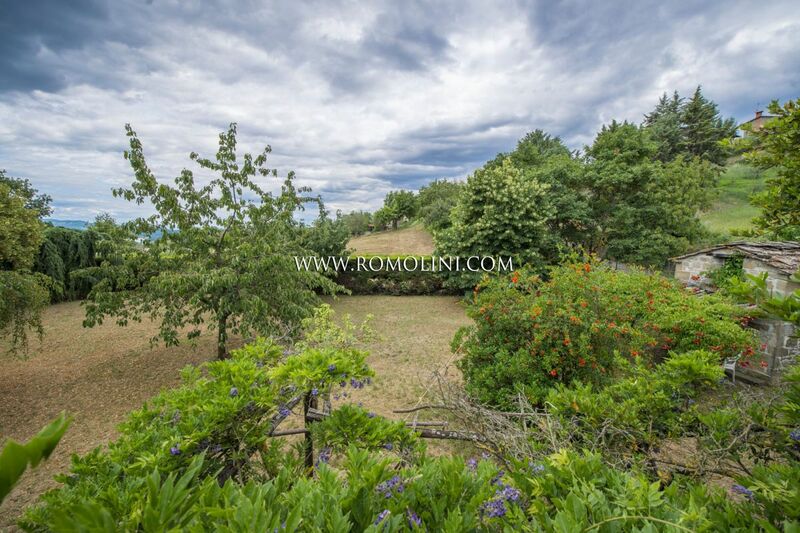 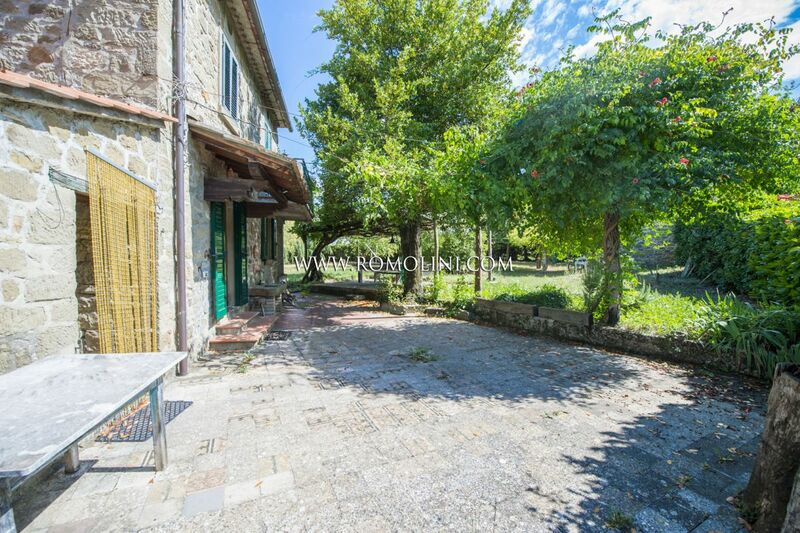 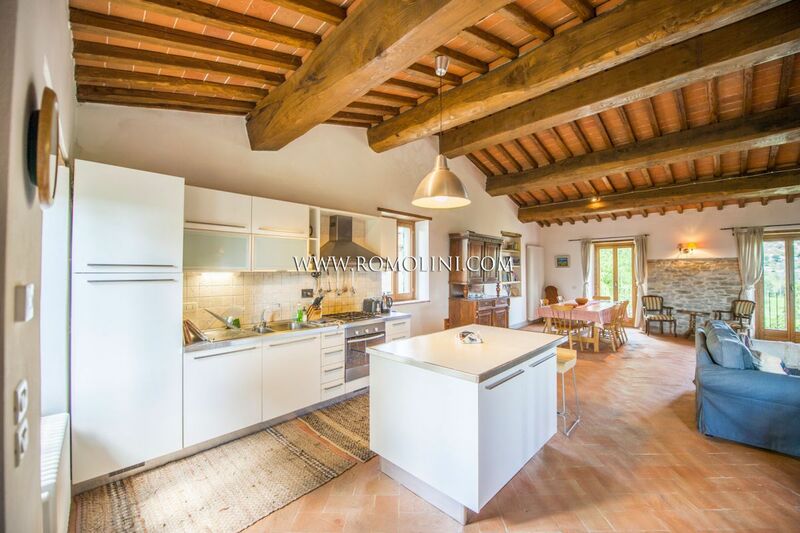 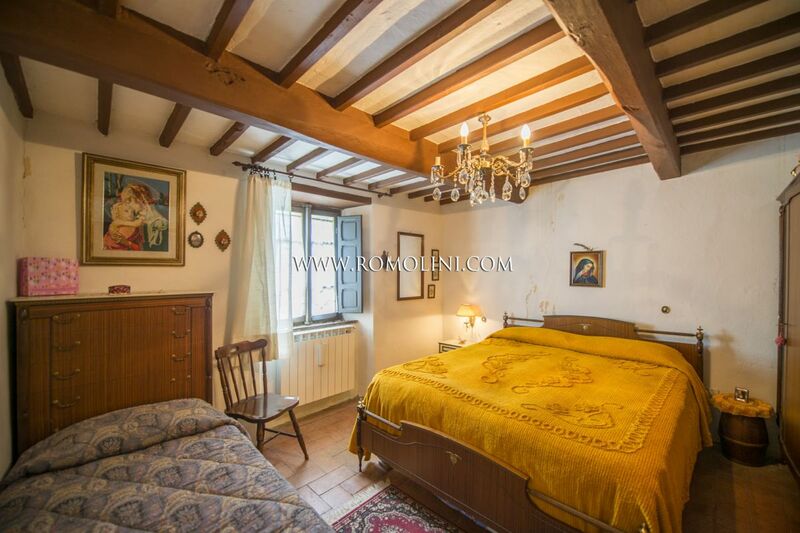 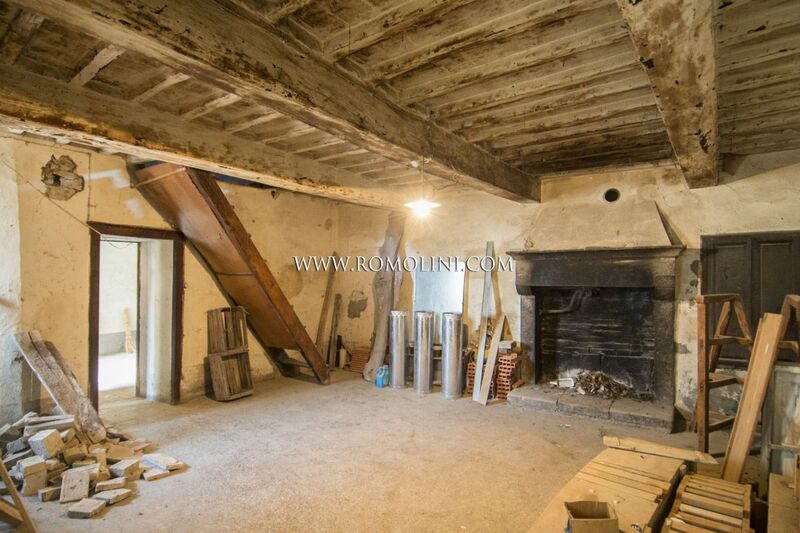 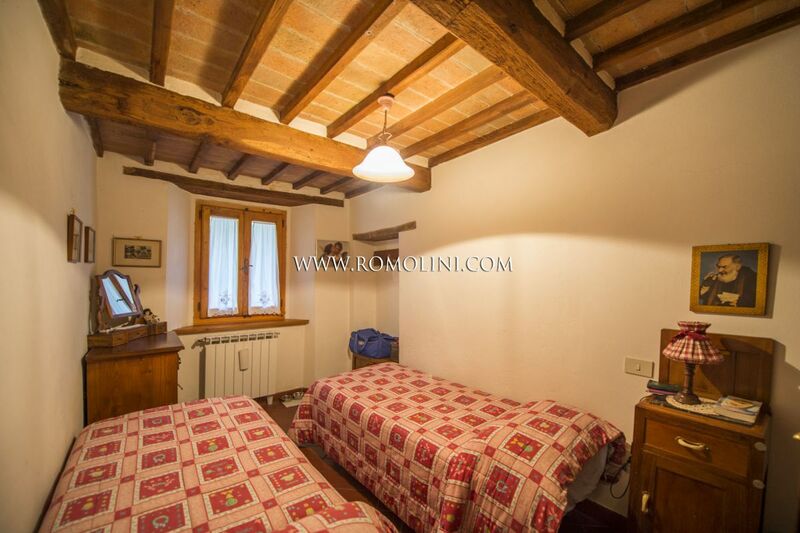 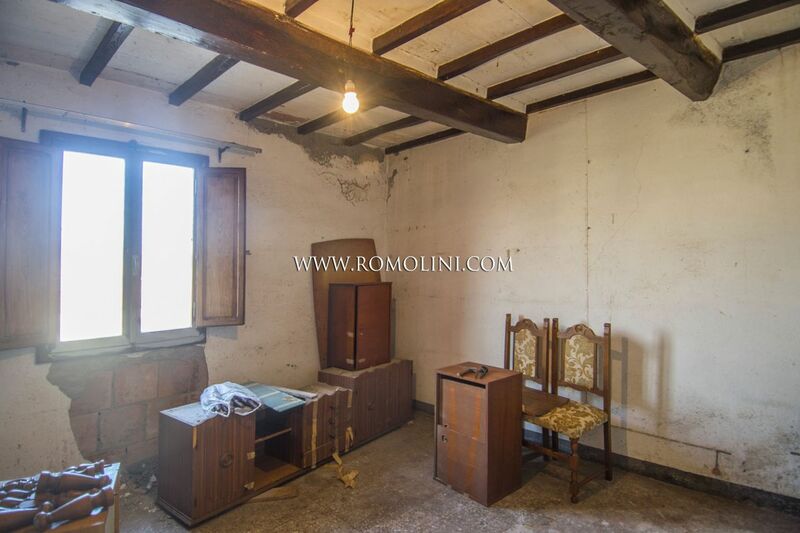 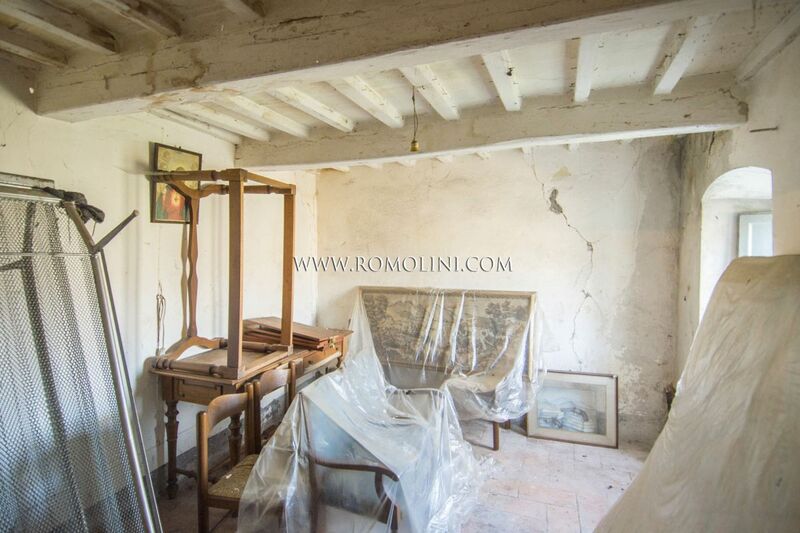 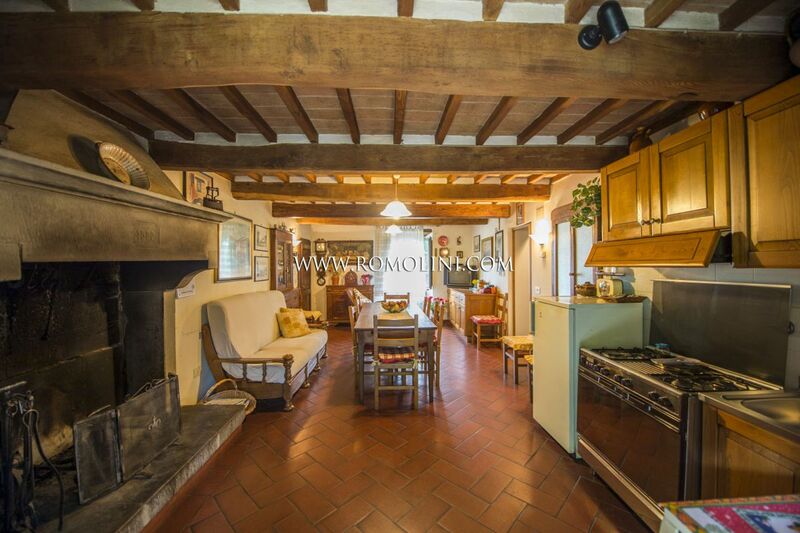 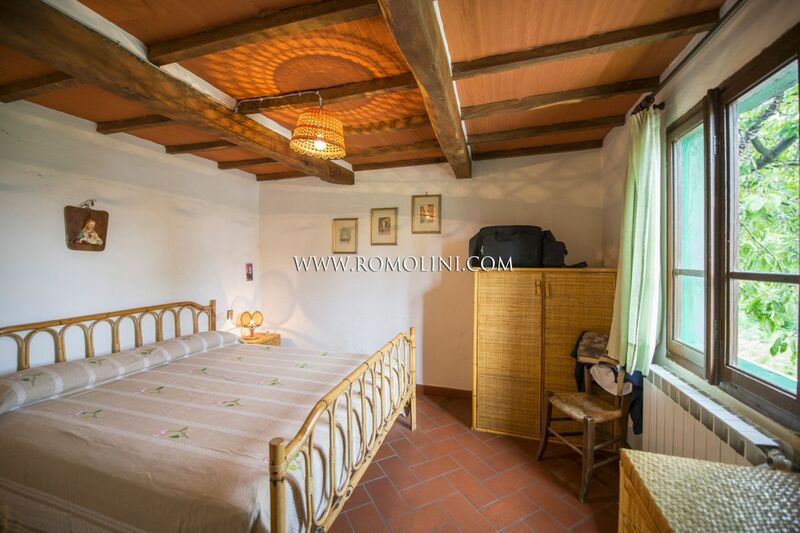 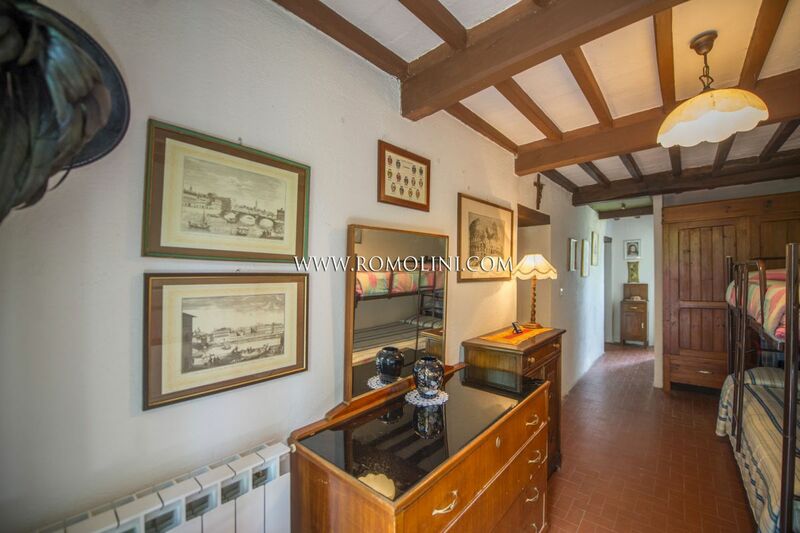 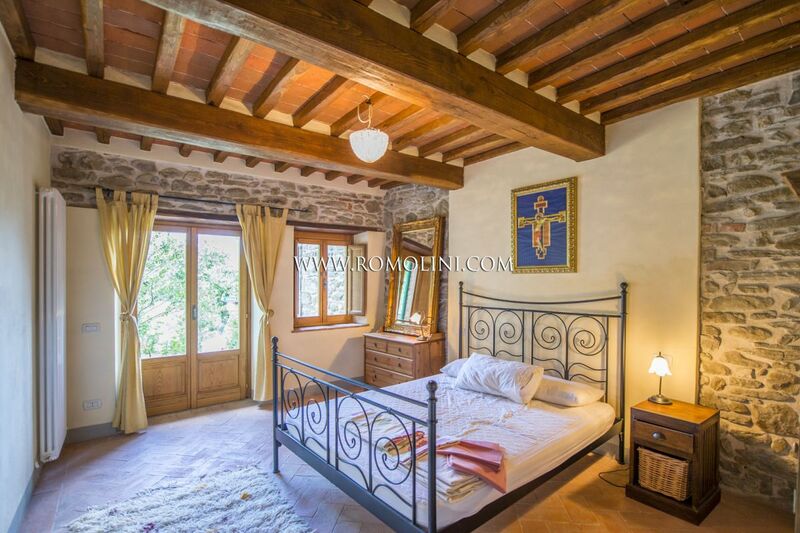 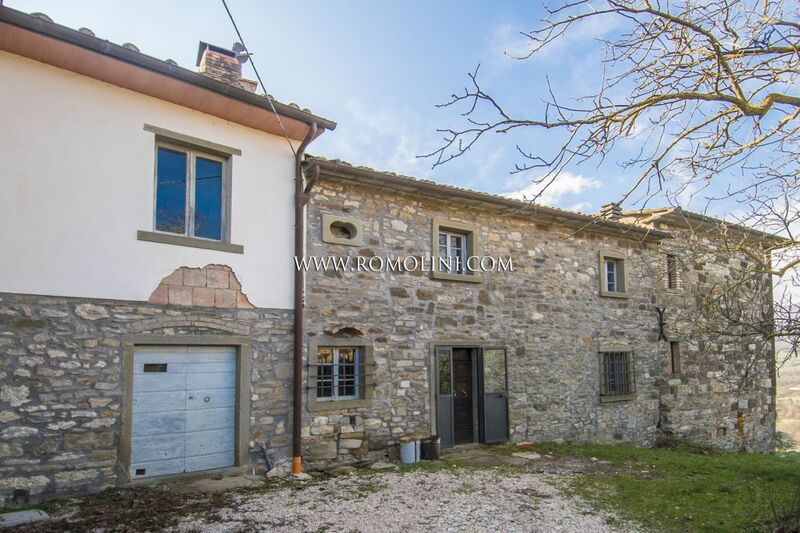 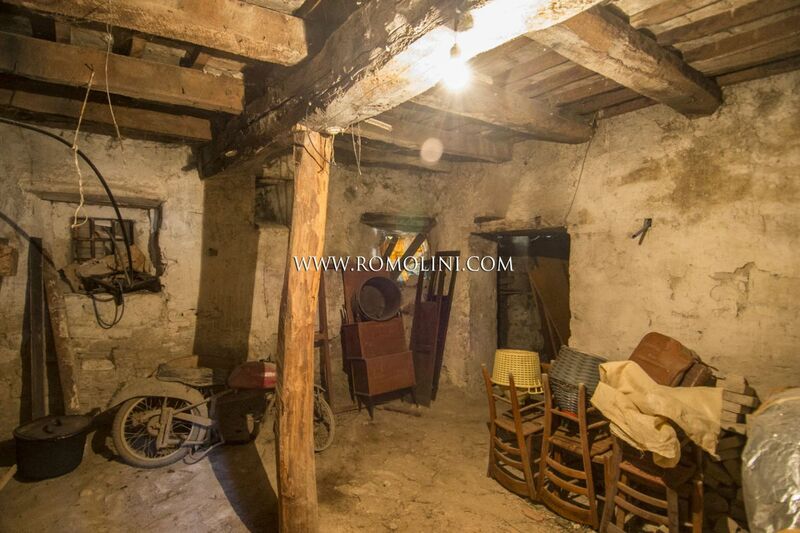 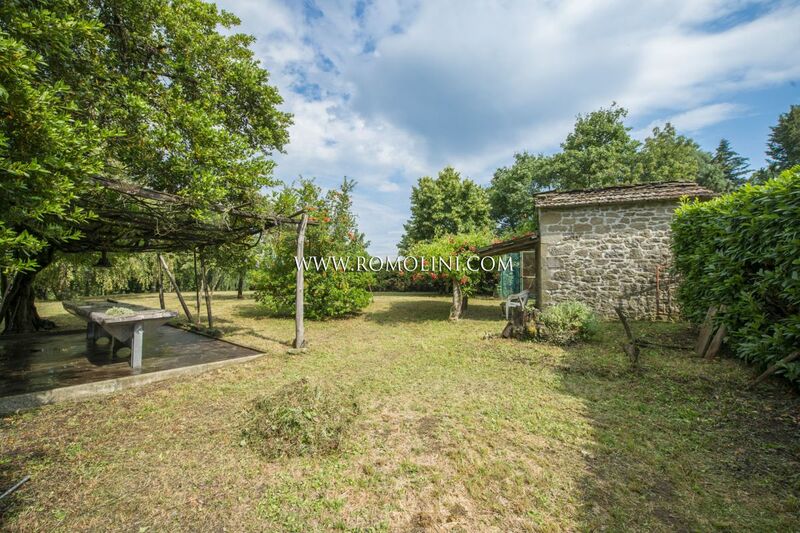 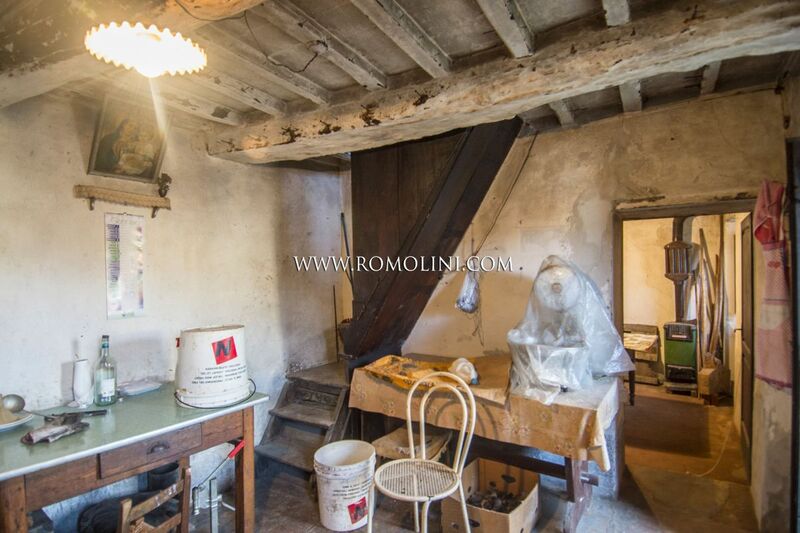 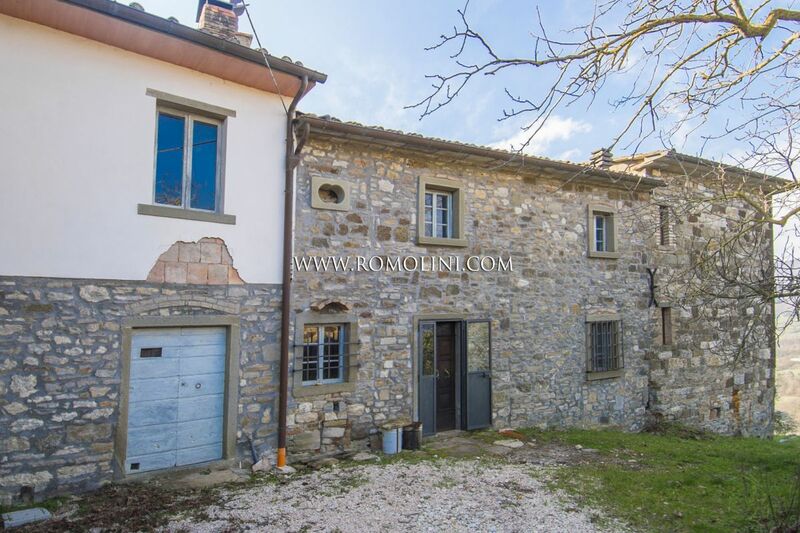 Not far from Caprese Michelangelo, at the border of a small town, this 140 sqm rustic farmhouse offers 4 bedrooms and a fenced 750 sqm garden, all with full respect for the Tuscan style. 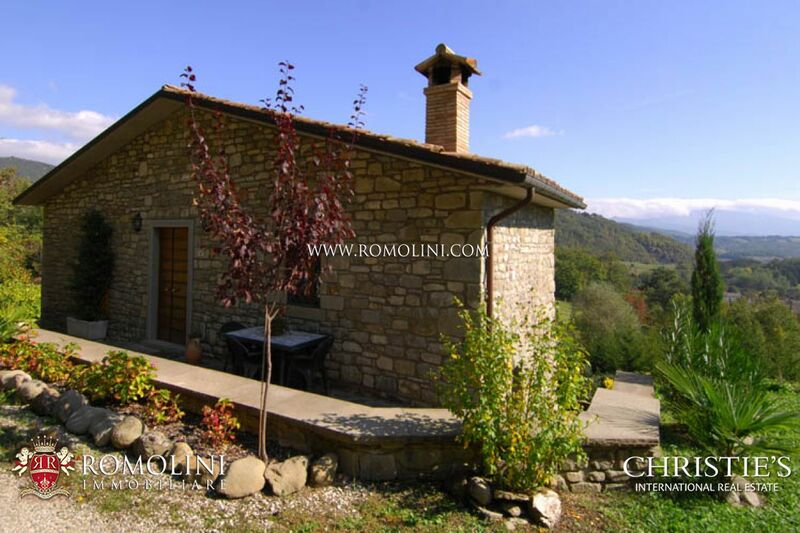 The excellent location allows easily moving throughout Tuscany and visit its most appreciated towns. 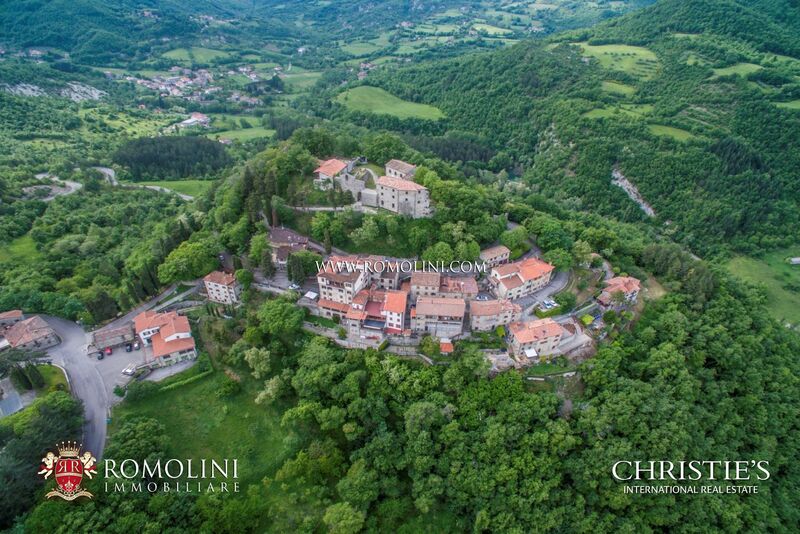 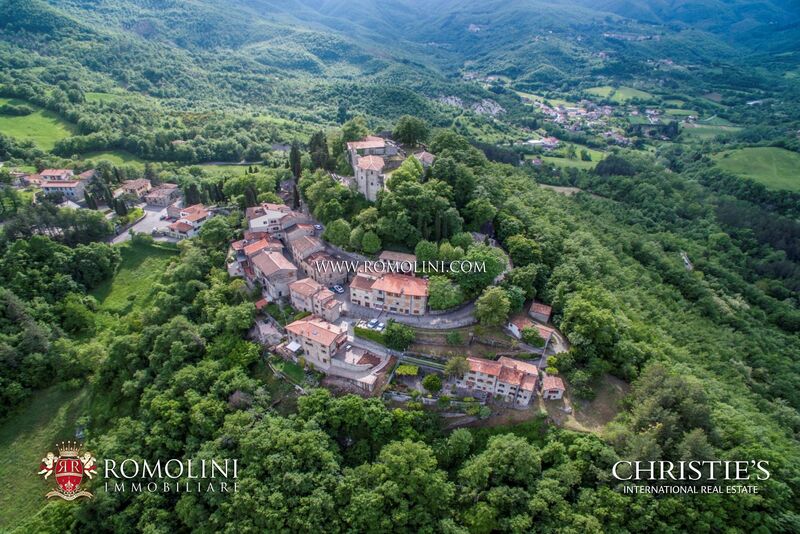 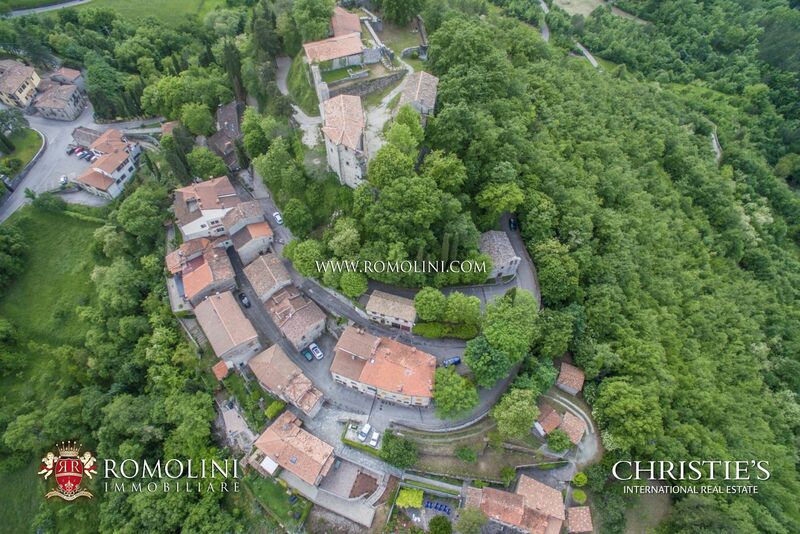 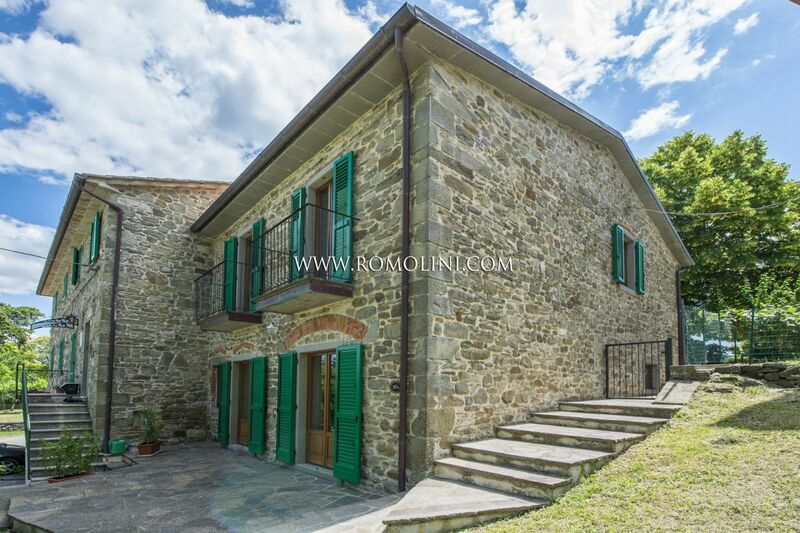 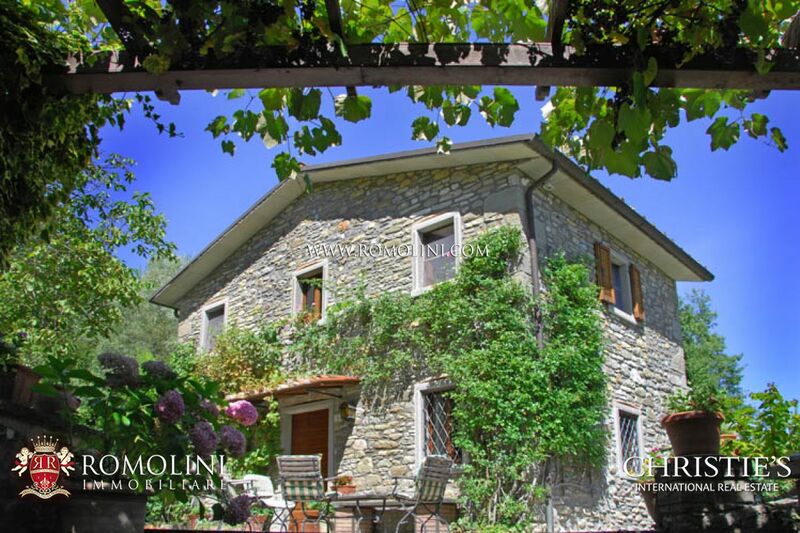 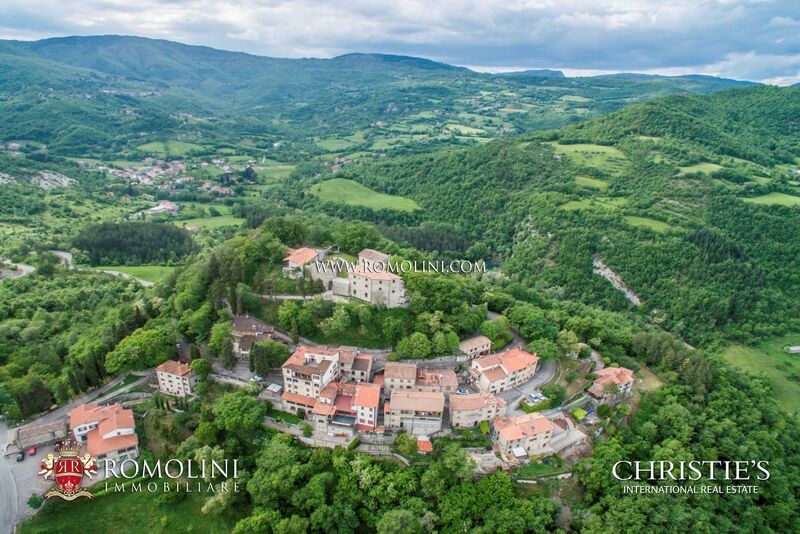 A short distance from Caprese Michelangelo, on the hills of the Tuscan countryside, this nice 355 sqm hamlet with 8 bedrooms is perfect for anyone looking for a starting point for a hosting business in a quiet and easily accessible location. 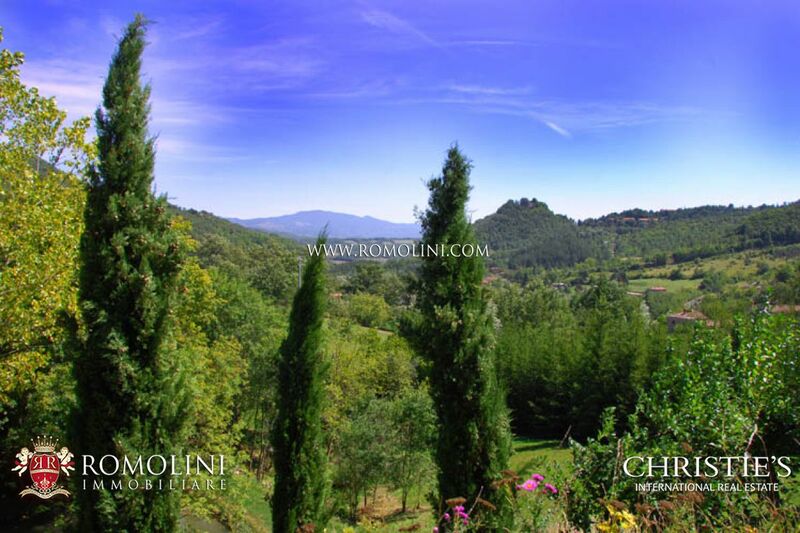 The property is completed by a panoramic garden, land (10.3 ha) and an 11 x 5.5 m rounded swimming pool. 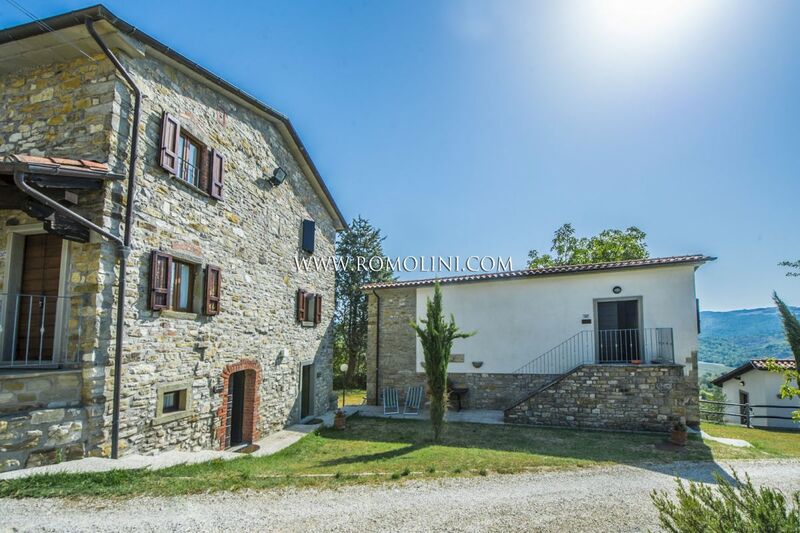 In Tuscany, in the province of Arezzo, in Caprese Michelangelo, farmhouse with traditional stonework with large garden and garage / cantina. 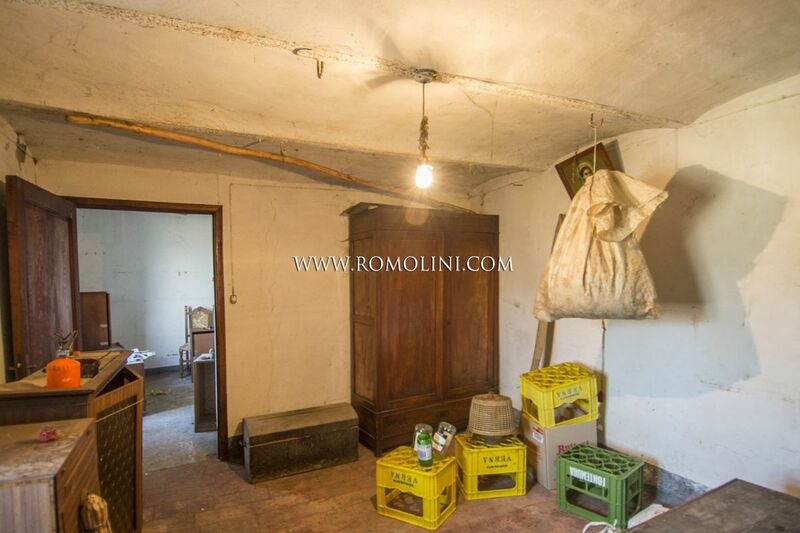 It is completely new and is therefore in excellent condition with no additional work being required. 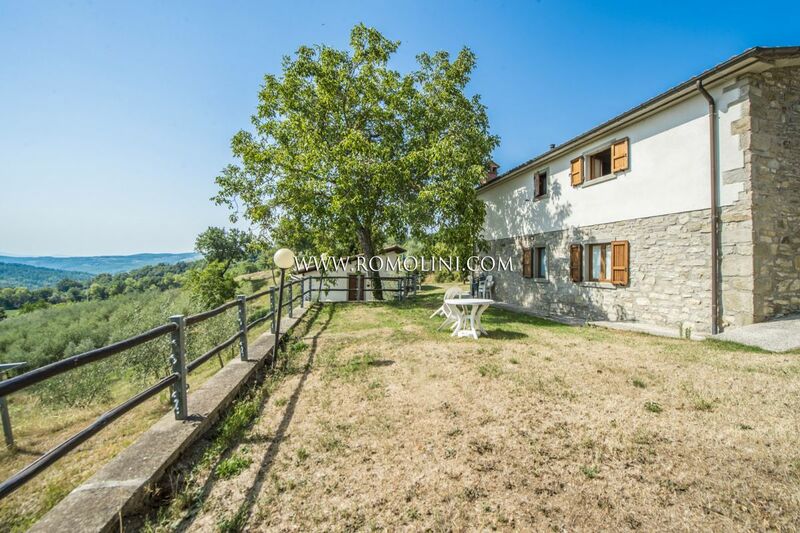 The farmhouse, surrounded by 4,124 sqm of land, is the perfect solution for those who are looking for a detached house nestled in the countryside with stunning views. 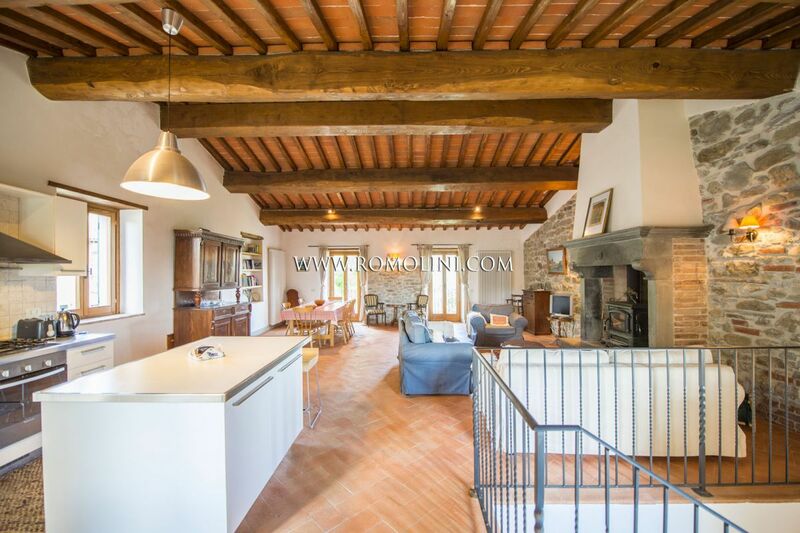 On the border of a small village with services, section of an old stone farmhouse completely restored. 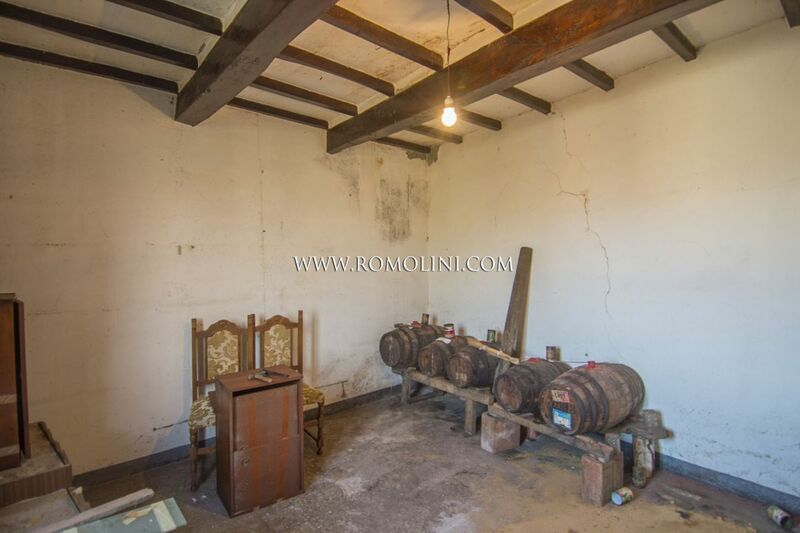 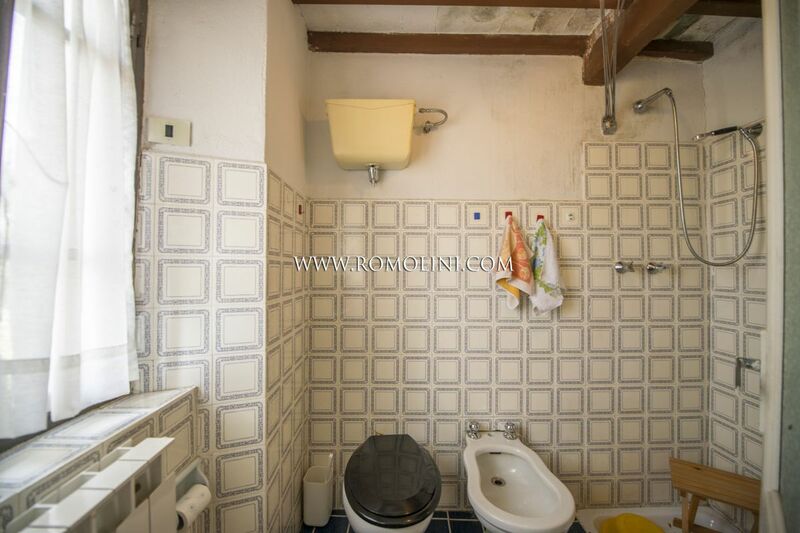 The property has an internal surface of 130 square metres and is disposed on two levels. 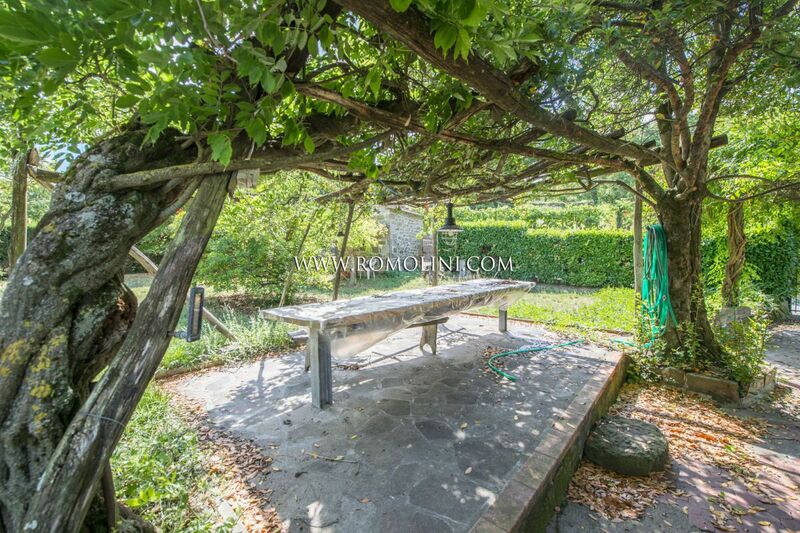 The property is completed by a well-maintained 300 sqm garden. 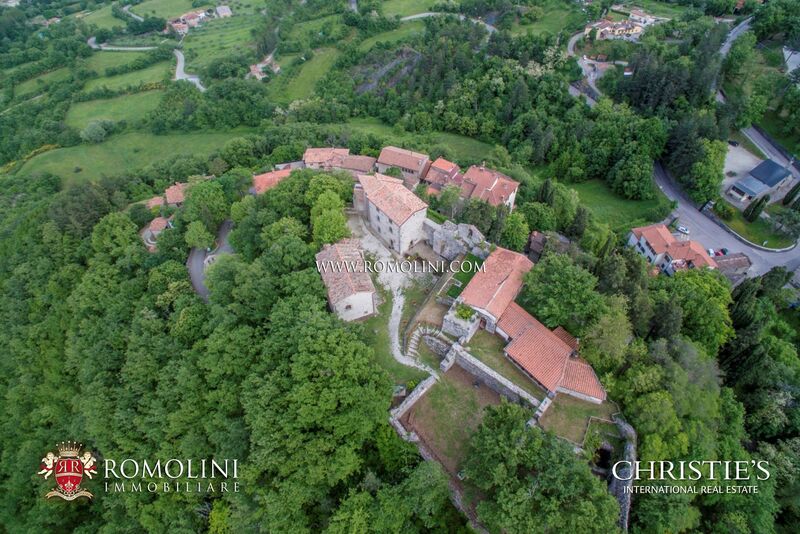 Case Gemelle consists of two separate, tastefully restored houses located on five acres of beautifully landscaped grounds.Placed on an hill site, with magnificent view of the Medieval Castle of Caprese Michelangelo, birthplace of Michelangelo Buonarroti, wonderful property composed of two old stone Tuscan houses surrounded by 2.5 hectares of land with vineyard, olive grove and beautiful garden. 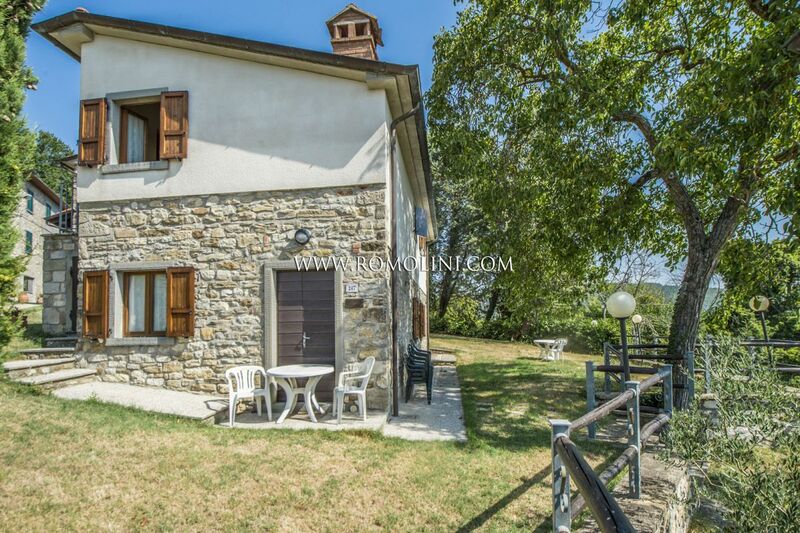 A few walks from the centre of the birthplace of Buonarroti, is placed this lovely villa of recent construction, with garage and nearby garden. 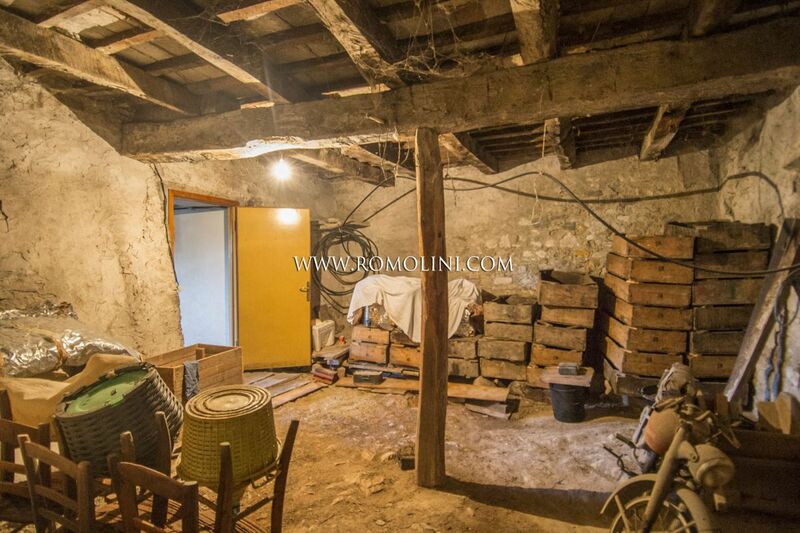 The house is disposed on two levels linked internally. 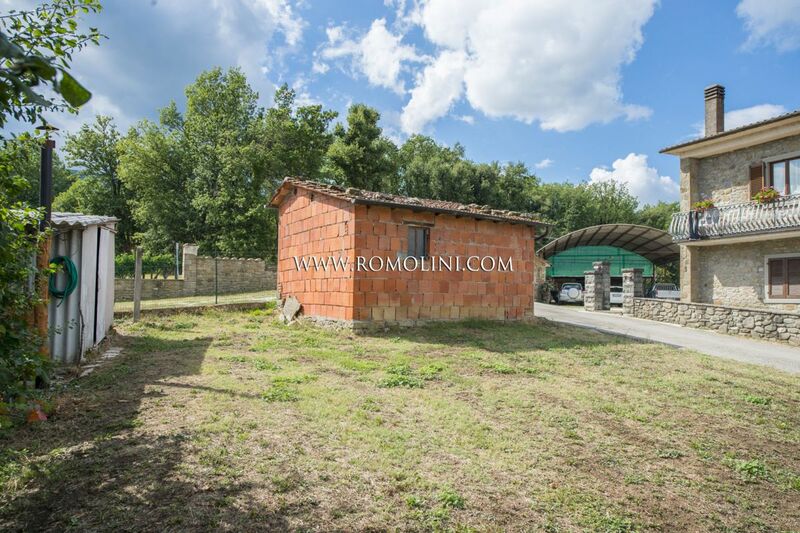 The property is completed by a very bright annex of 60 square metres currently used as garage, a lovely panoramic garden and 2980 square metres of land, where it is possible to create a pool. 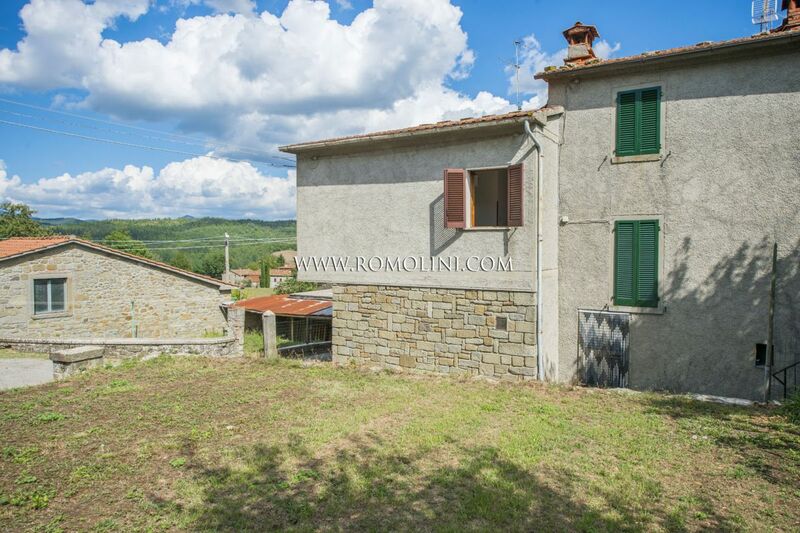 On the hills of Tuscany, not far from the medieval hamlet of Caprese Michelangelo, this 70 sqm apartment is suitable for those looking for a quiet life far from the chaos of the city. 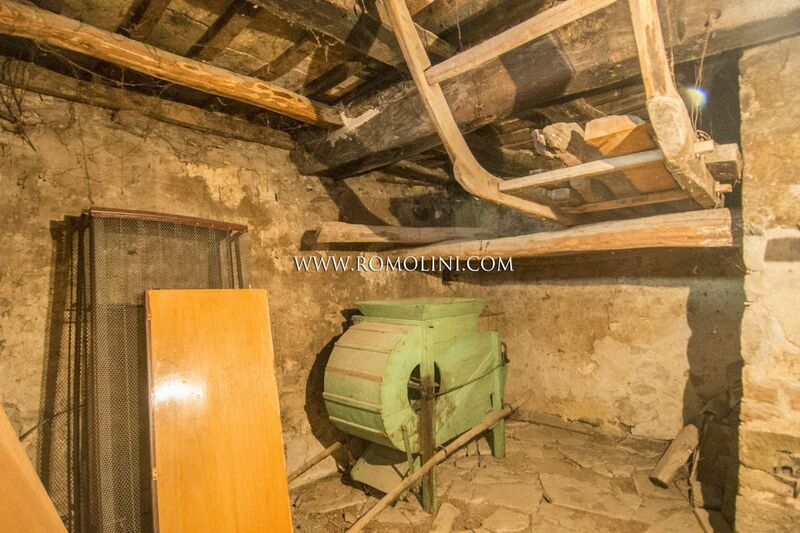 The building needs several restorations to be completed and once works are over it could offer up to 3 bedrooms. 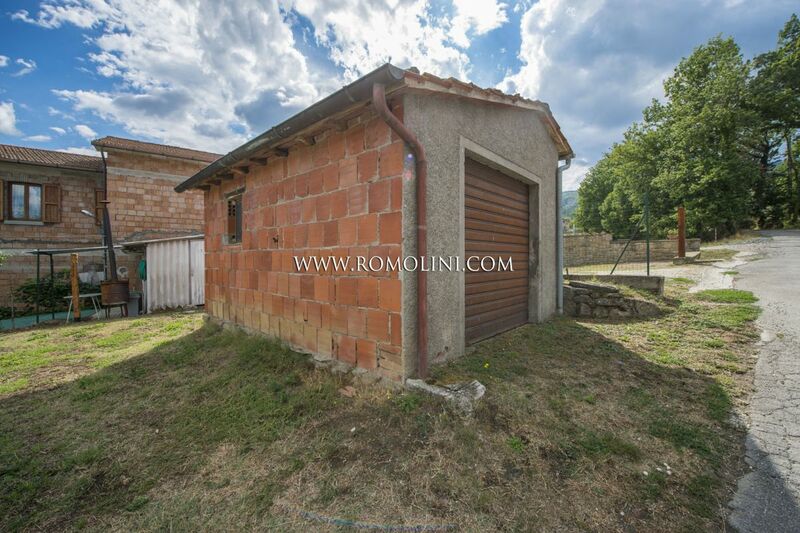 On the outside there is a garden with a small warehouse for tools. 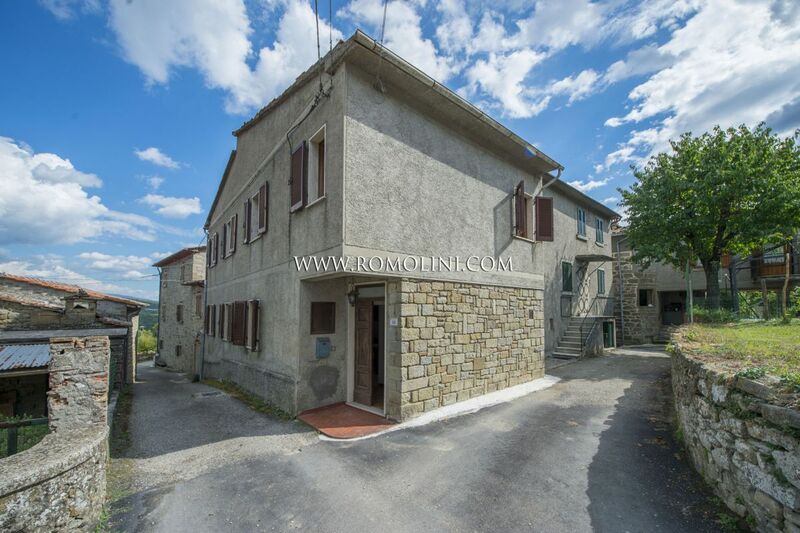 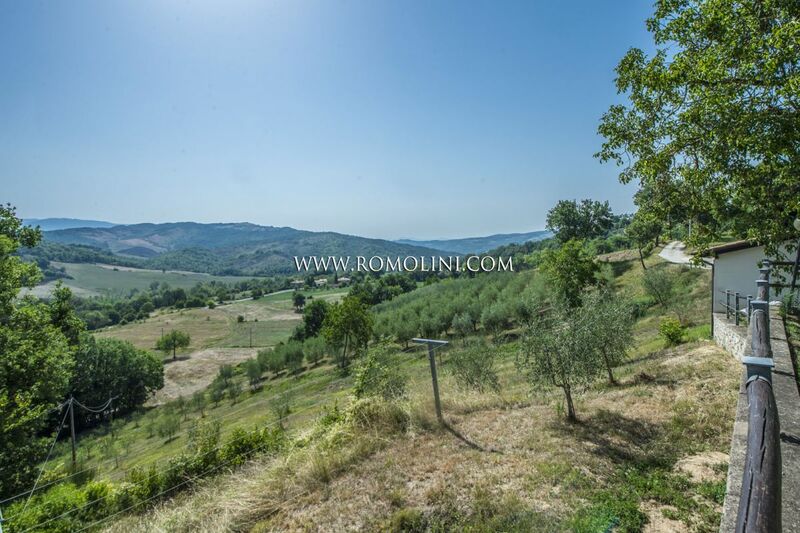 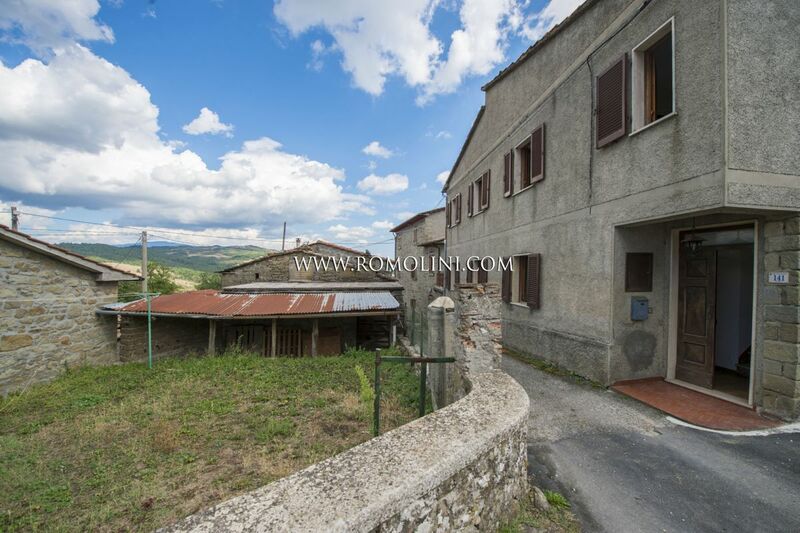 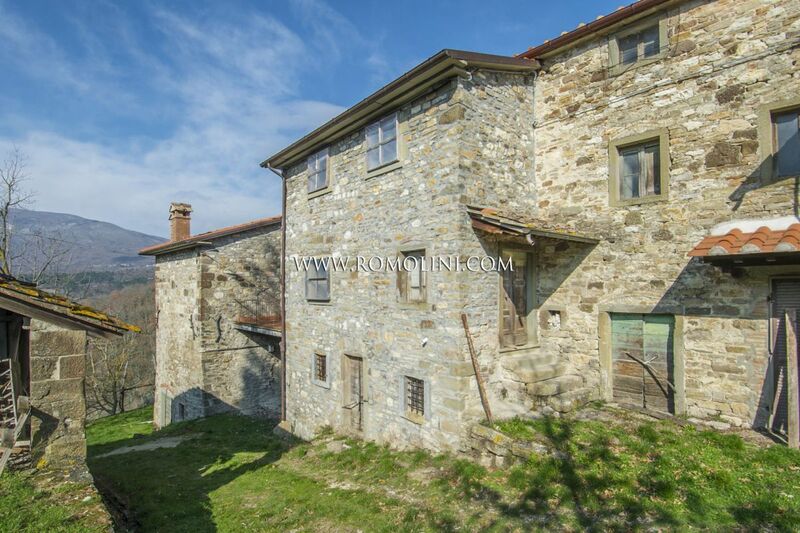 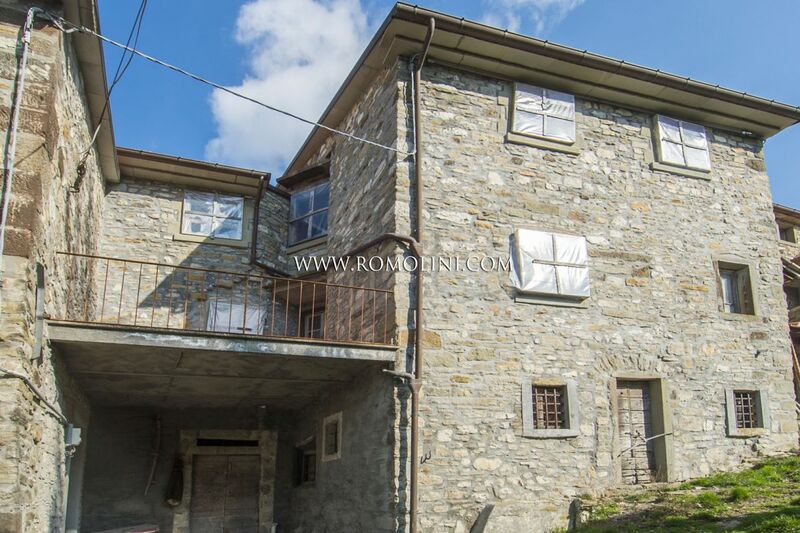 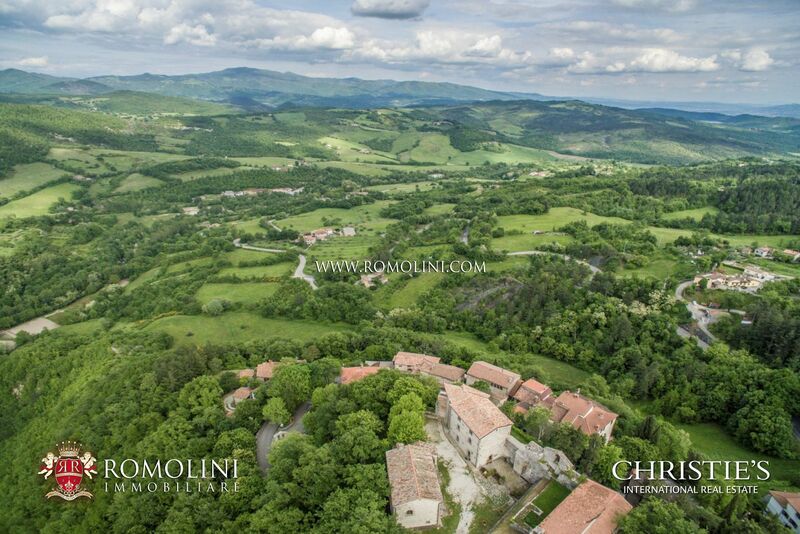 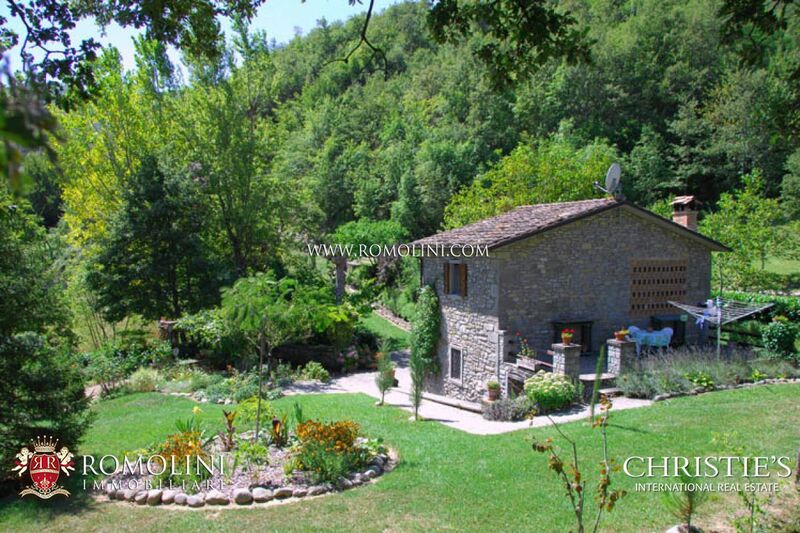 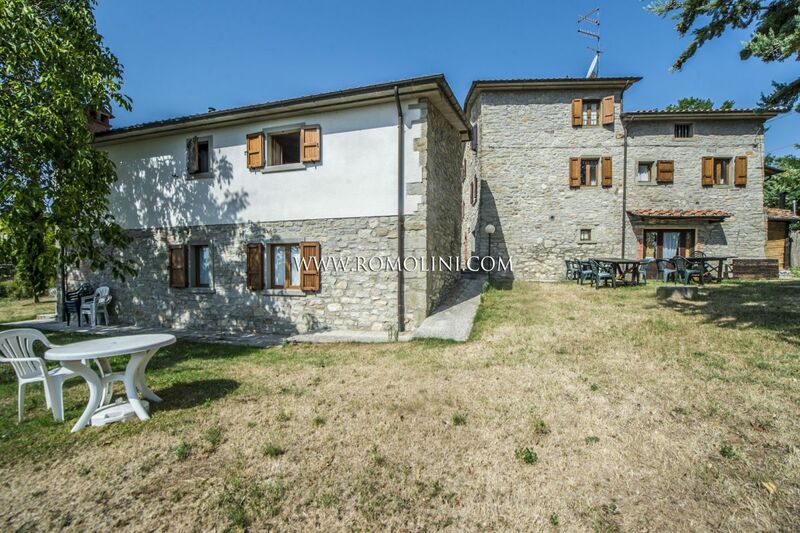 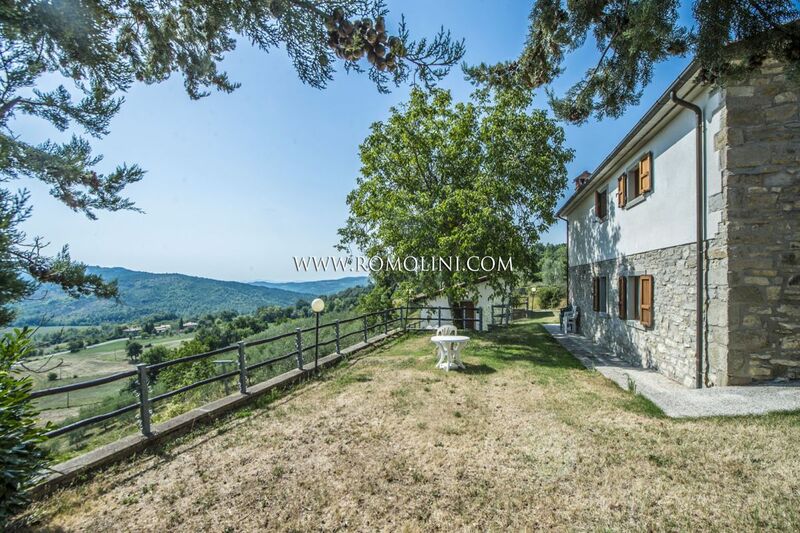 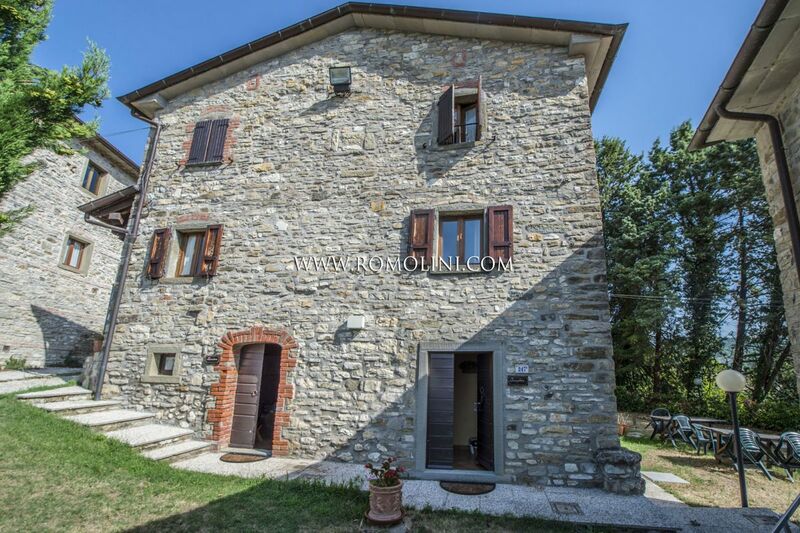 On the hills of Tuscany, not far from the medieval town of Caprese Michelangelo, this 110 sqm town house is perfect for anyone looking for a retired life in a small hamlet with all the services at hand. 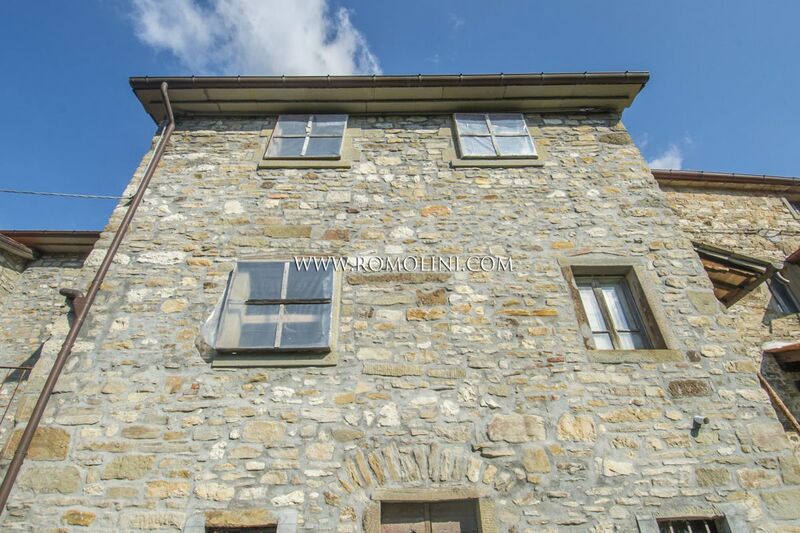 The building needs several works to be completed and could host up to 3 bedrooms, which makes it suitable both as a private residence and as a B&B. 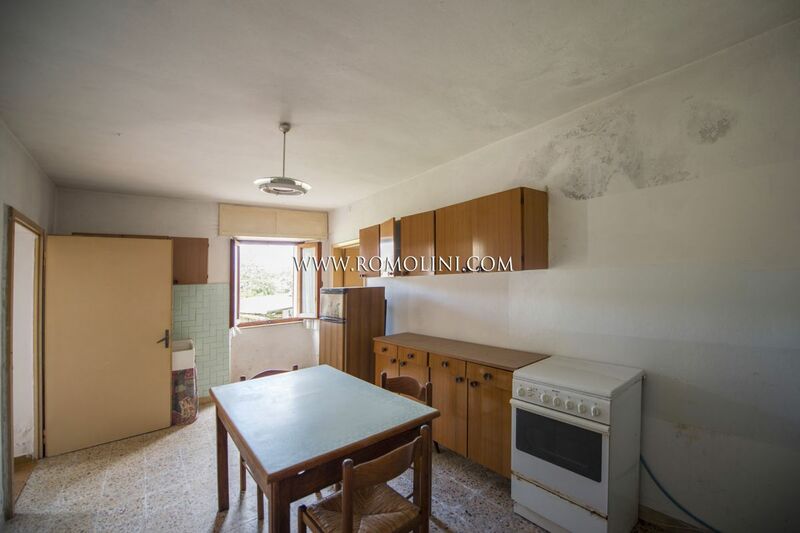 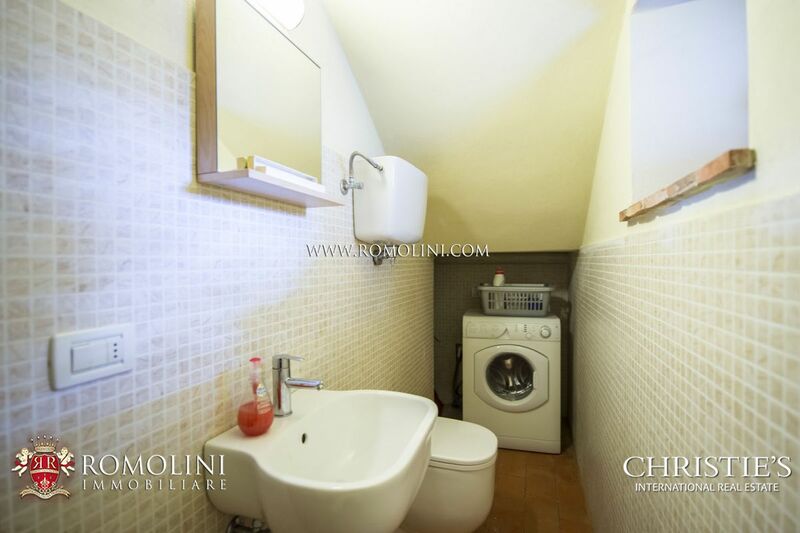 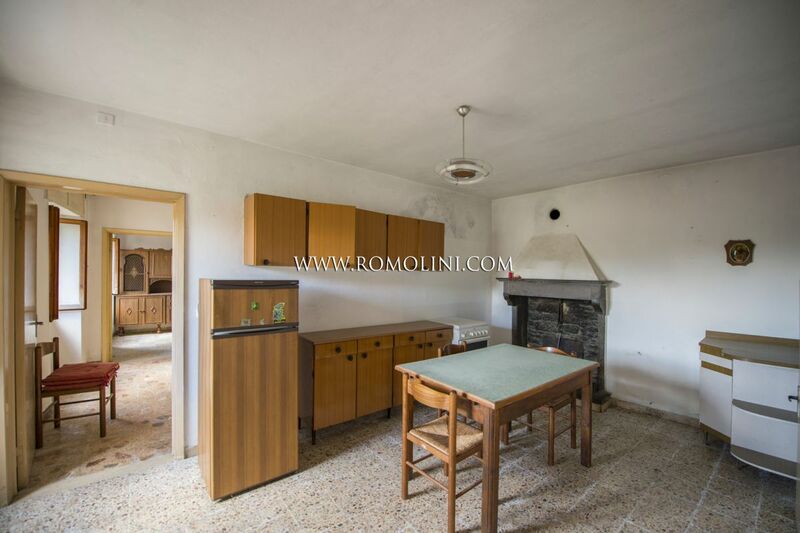 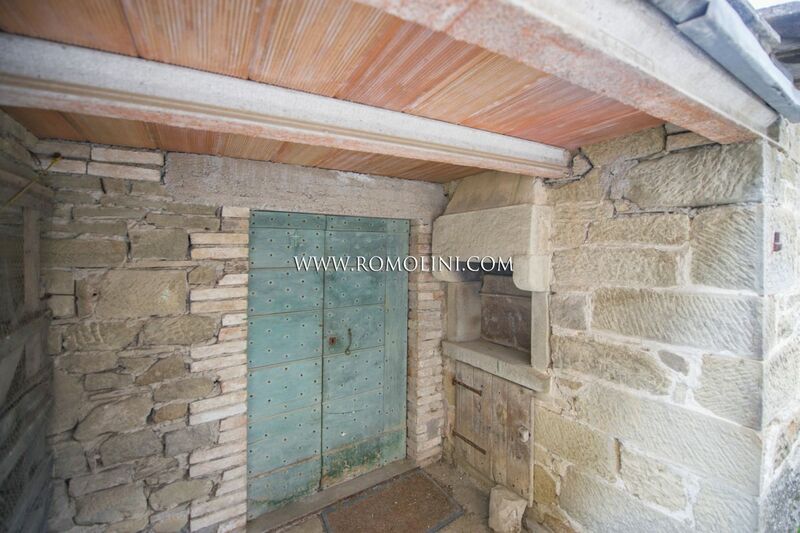 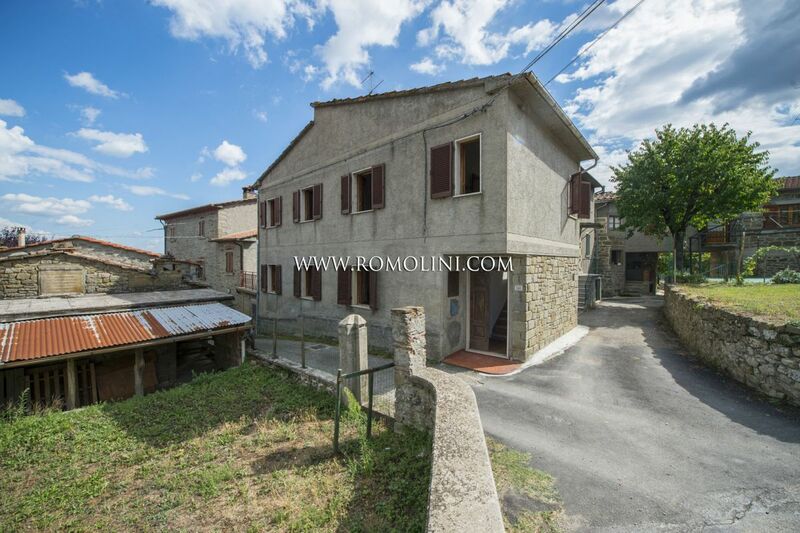 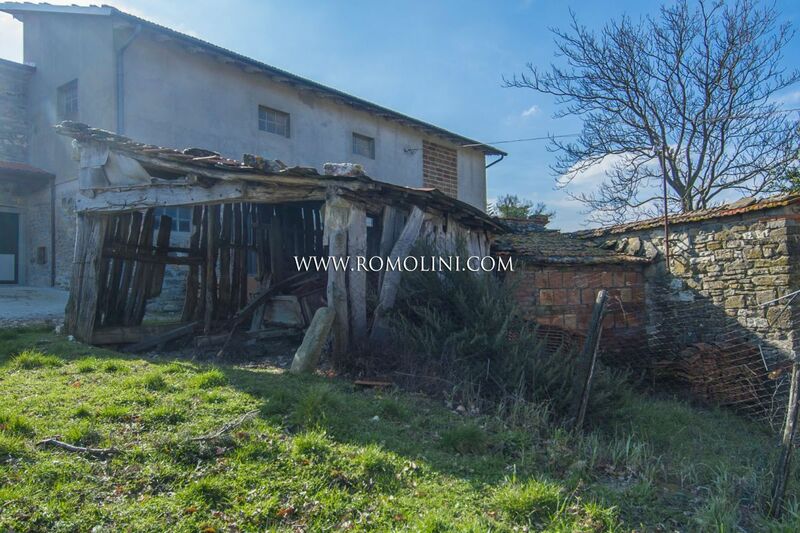 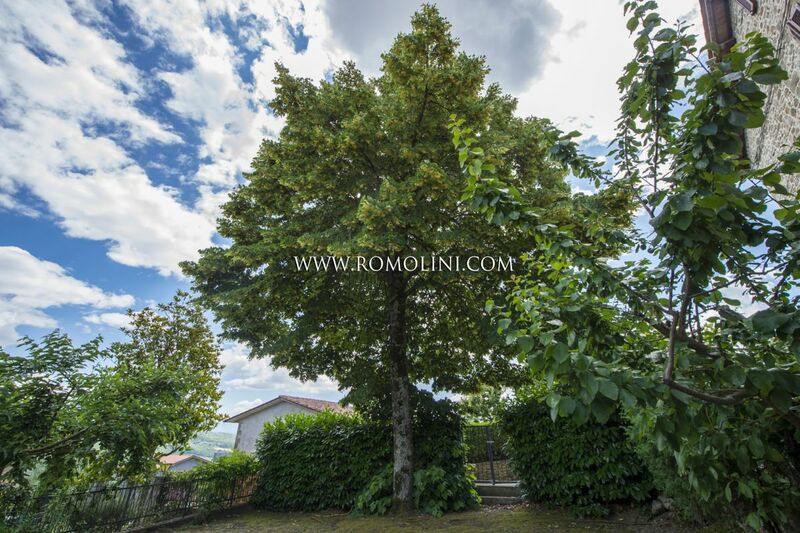 Not far from Caprese Michelangelo, at the border of a small town, this 140 sqm semi-detached house offers 3 bedrooms and a small garden. 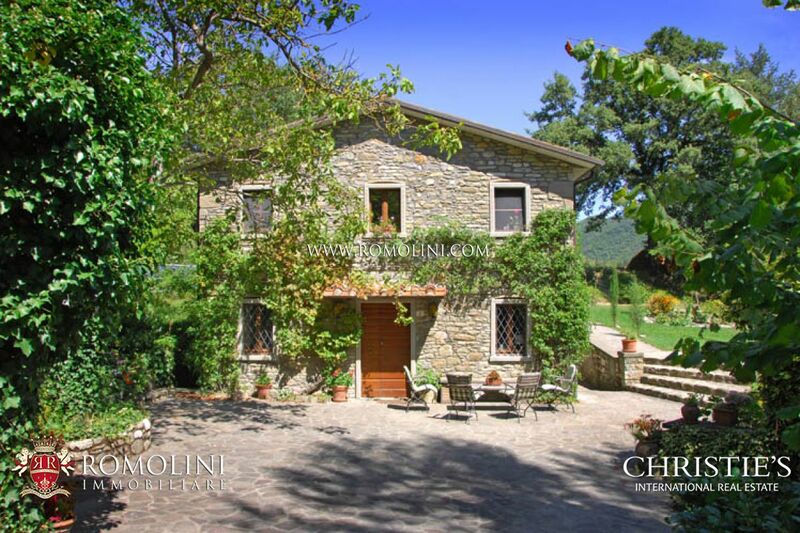 The excellent location allows easily moving throughout Tuscany and visiting its most appreciated towns.